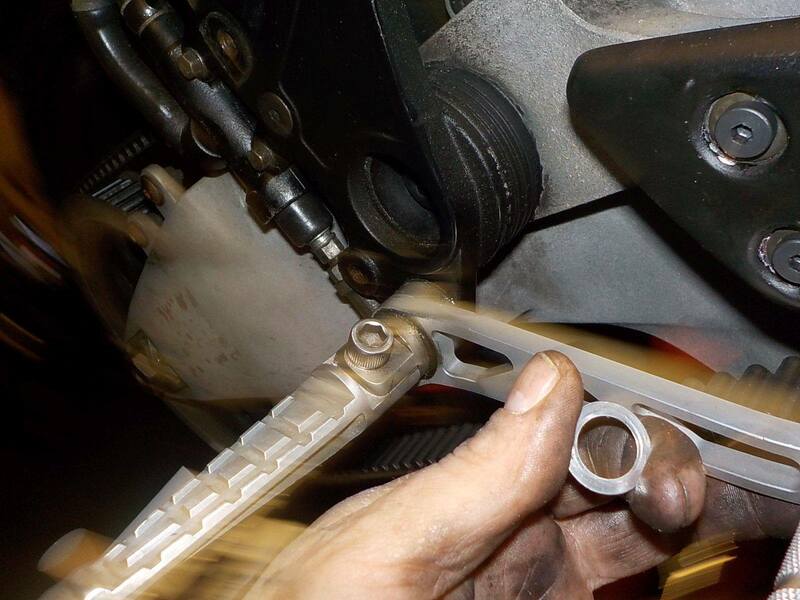 finish the service on the Uly — bij Twin Motorcycles Buell Support forever. 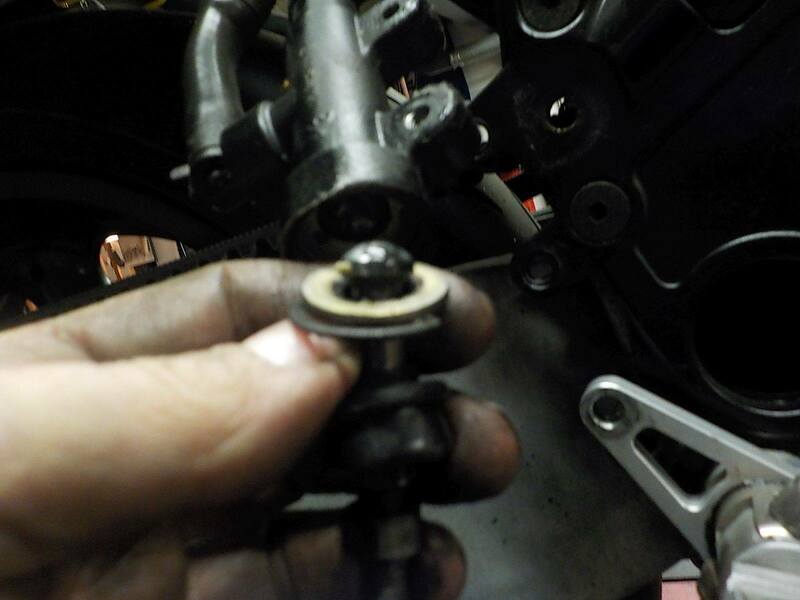 front wheel pinch bolts loose — bij Twin Motorcycles Buell Support forever. 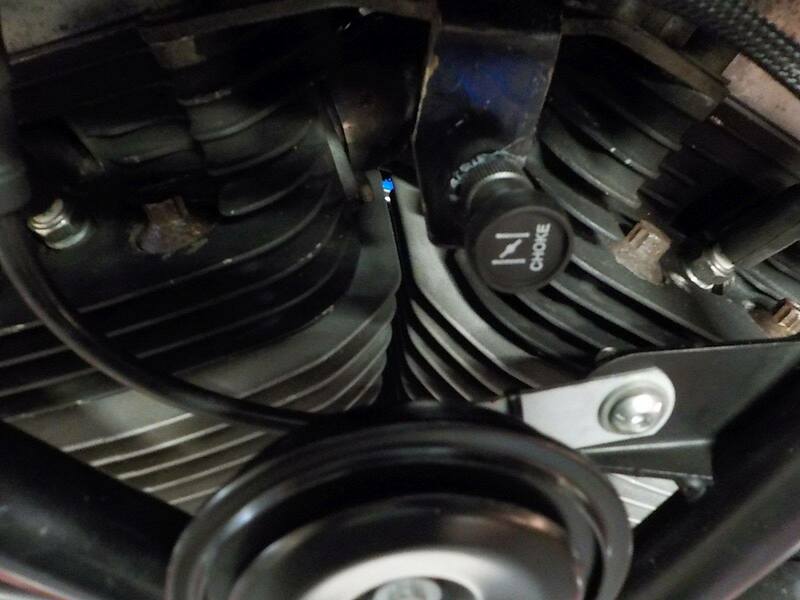 the very typical XB12X 08-up front legs , to increase the steering ( handle Bar ) travel , and still leave the same trail — bij Twin Motorcycles Buell Support forever. 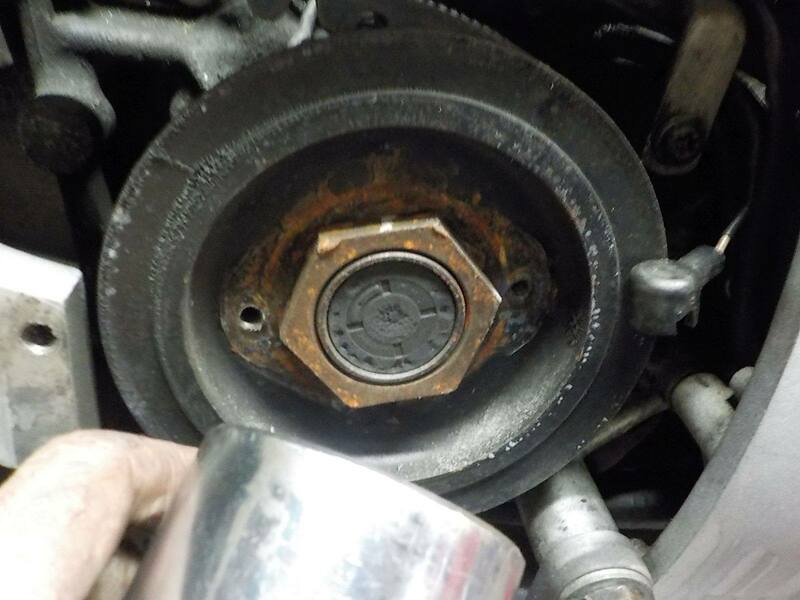 front wheel bearings are ok — bij Twin Motorcycles Buell Support forever. 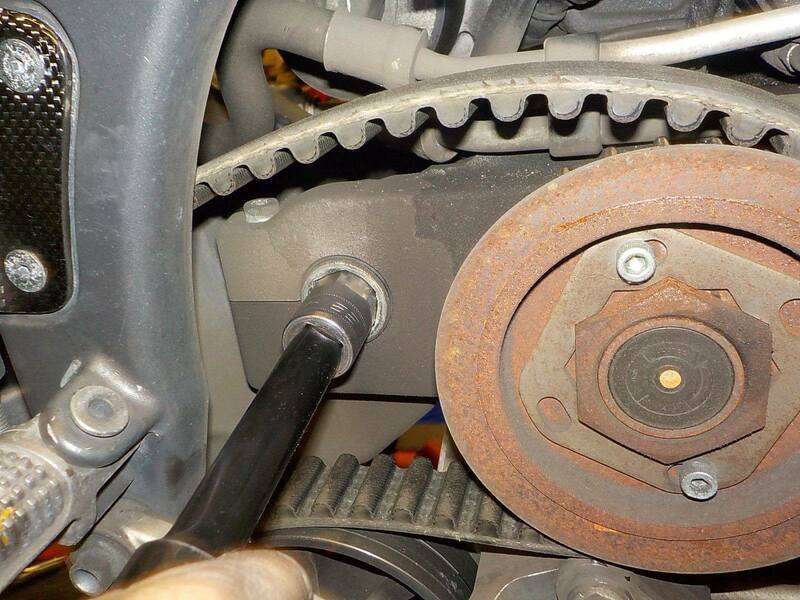 the bolts snag a little in the lowers — bij Twin Motorcycles Buell Support forever. 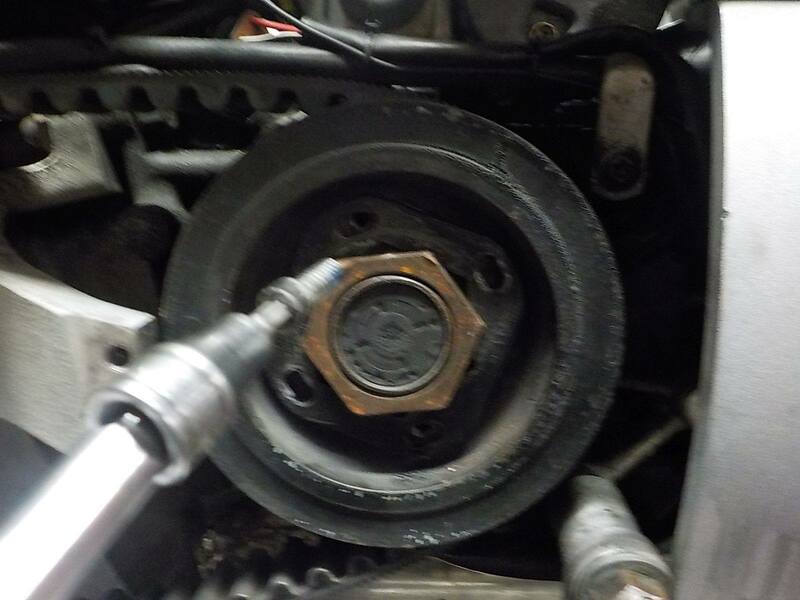 i see this more , loctite and alumium compressing.. clean it up ones in a while so the bolts push through with ease — bij Twin Motorcycles Buell Support forever. 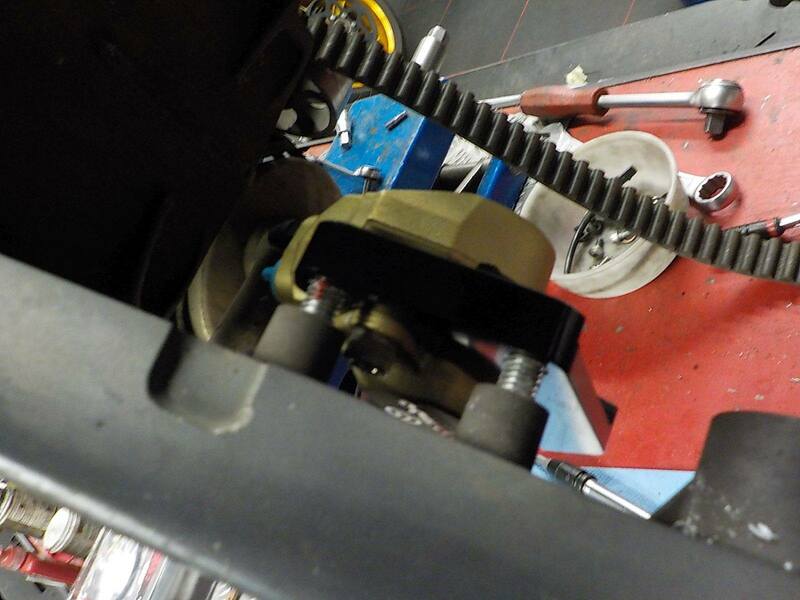 wheel back in and setting to tq — bij Twin Motorcycles Buell Support forever. 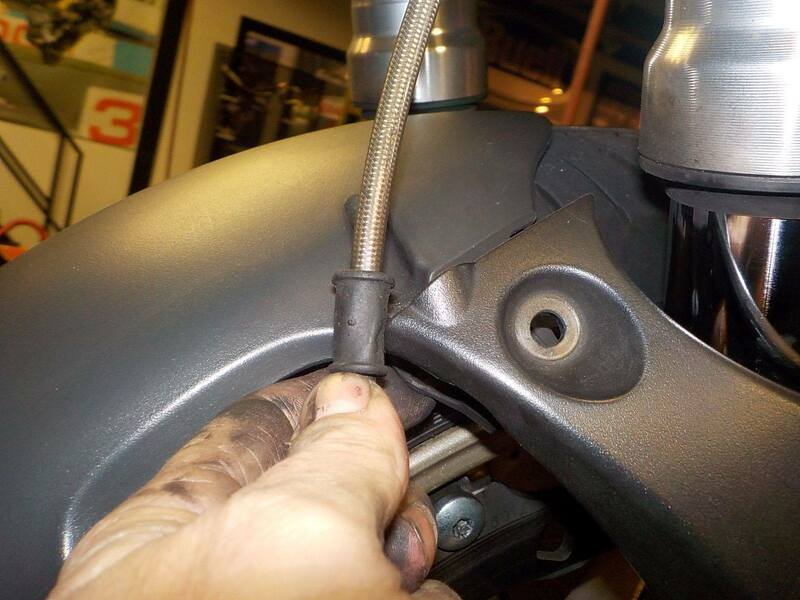 rubber for brake line protection in the fender — bij Twin Motorcycles Buell Support forever. 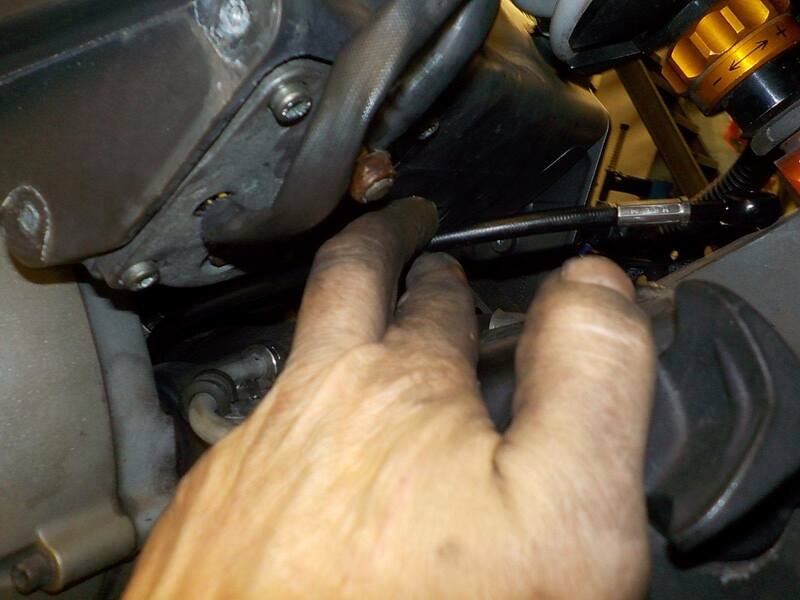 and brake fluid change — bij Twin Motorcycles Buell Support forever. 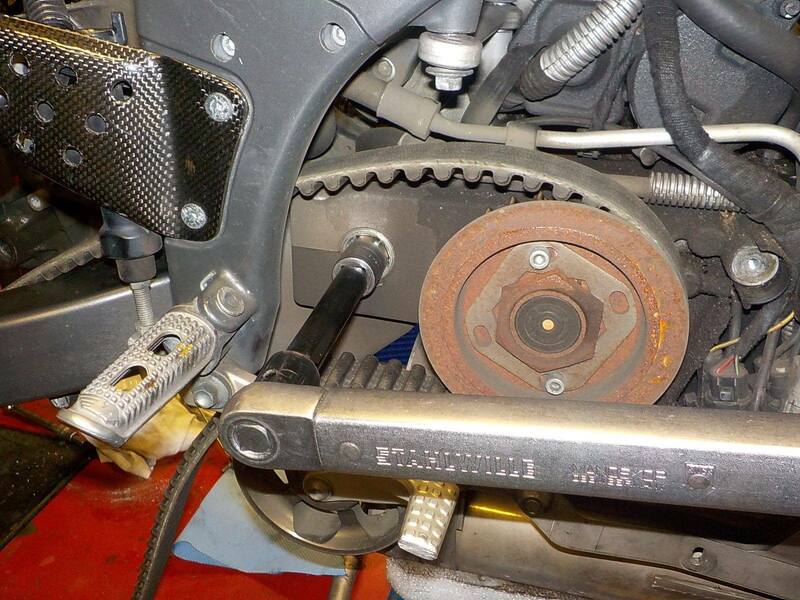 some fresh in teh front — bij Twin Motorcycles Buell Support forever. 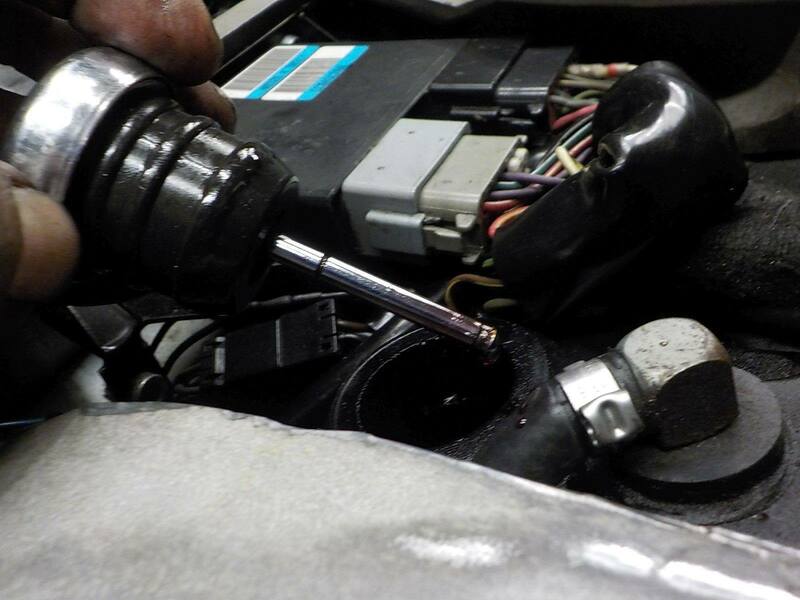 and change the rear fluid — bij Twin Motorcycles Buell Support forever. 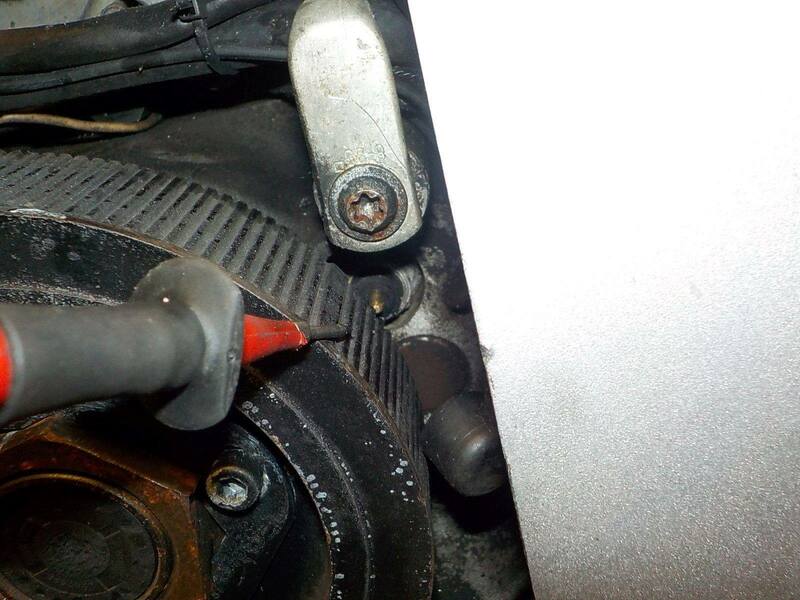 now the problem... i uploaded a new basemapping, to have a better view on the cracks in the ecm plugs— bij Twin Motorcycles Buell Support forever. 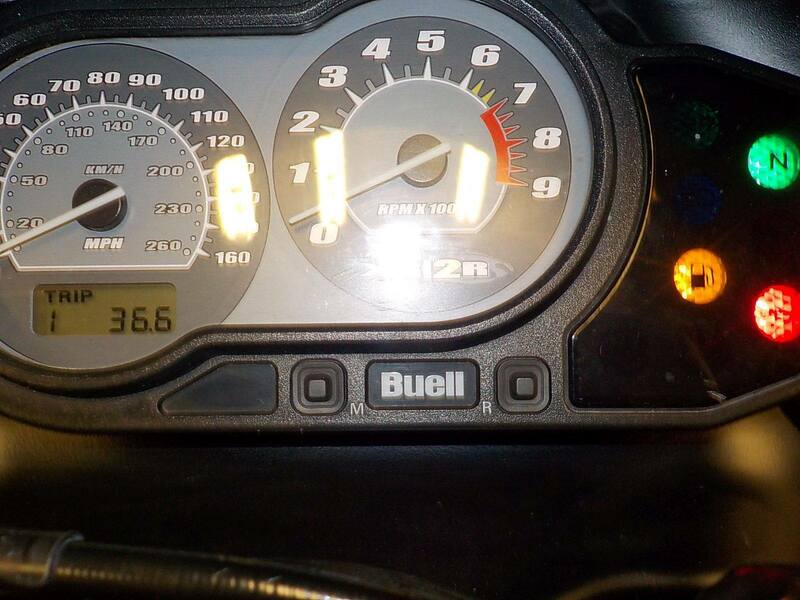 so for, so good.. need to take here out for a longer test spin — bij Twin Motorcycles Buell Support forever. 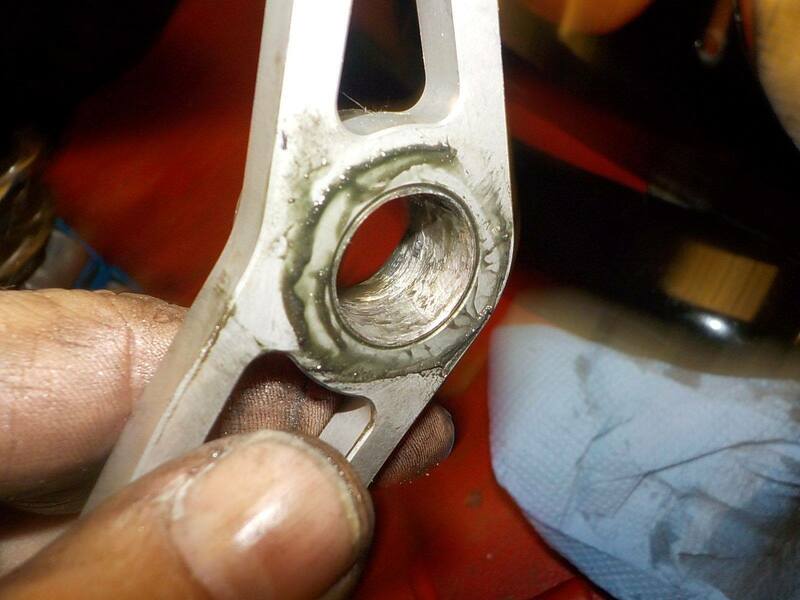 markings in the seat bottum ..as it was resting on the ecm.. cracking the plugs — bij Twin Motorcycles Buell Support forever. 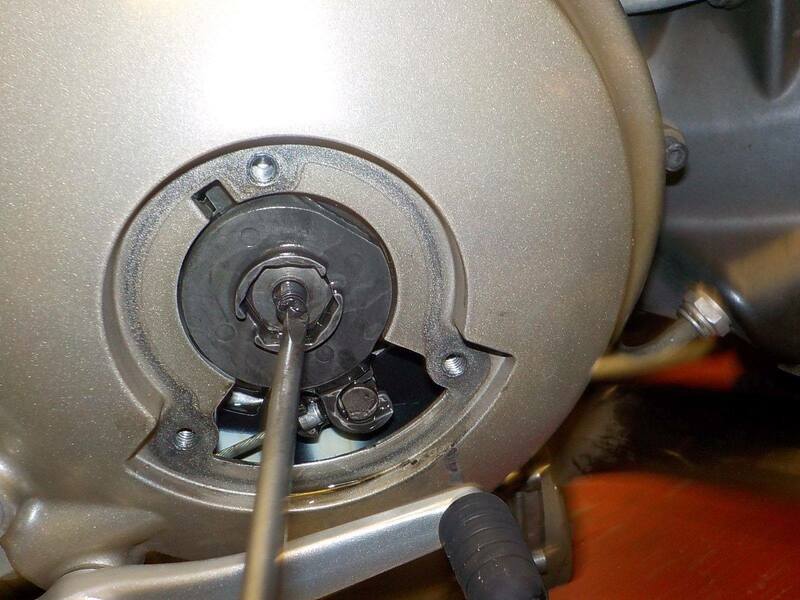 off course , that is 2 this week... spontanieus neutral light switch break down... — bij Twin Motorcycles Buell Support forever. 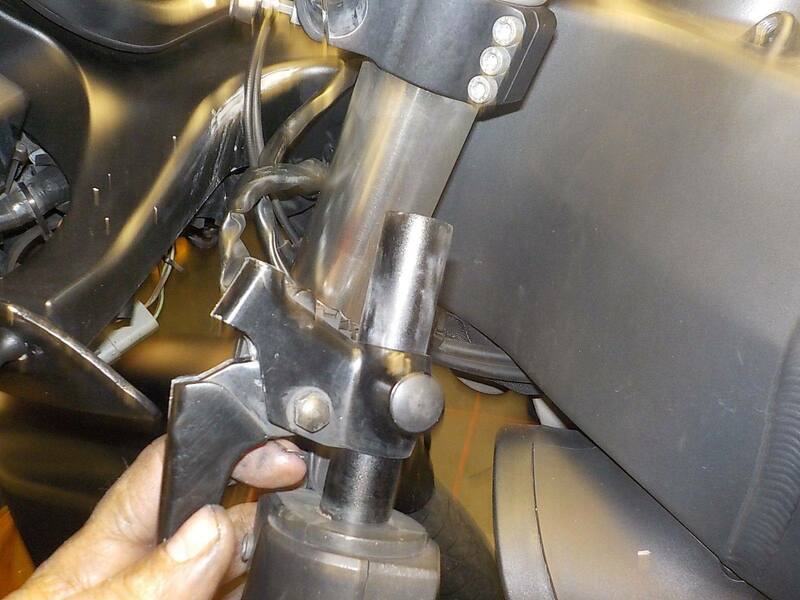 some more heat cycles needed to be done and mount the chin spoiler / check the shifter / brake — bij Twin Motorcycles Buell Support forever. 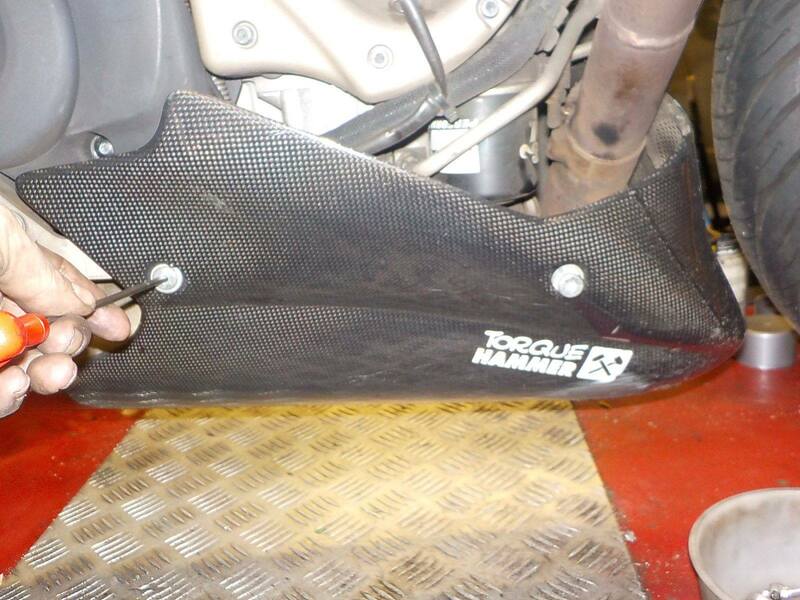 mnnn ok i will make some new ones — bij Twin Motorcycles Buell Support forever. 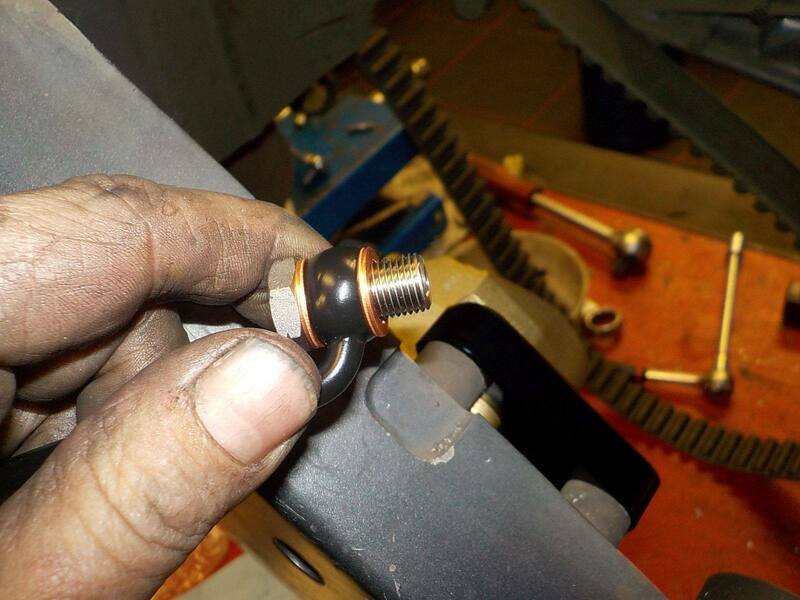 correct bolt and washers.. spacers made — bij Twin Motorcycles Buell Support forever. front right one is easy — bij Twin Motorcycles Buell Support forever. 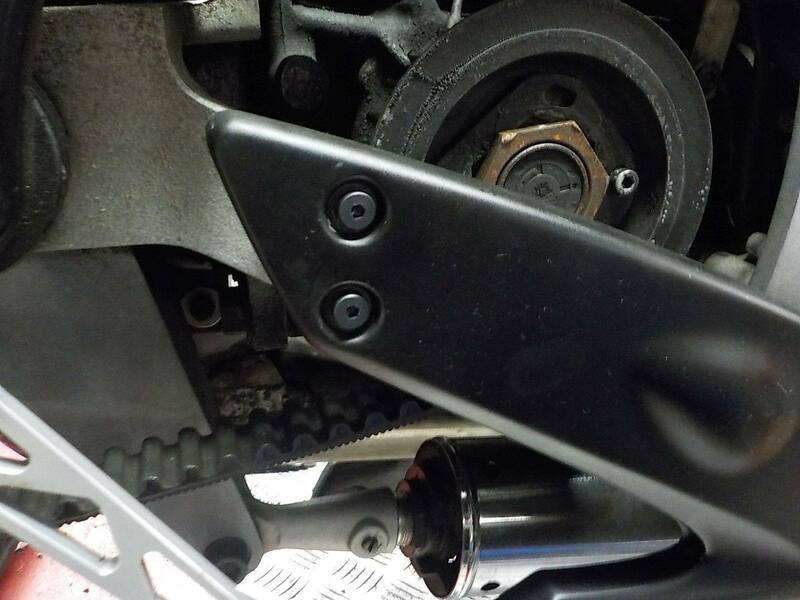 looks better now — bij Twin Motorcycles Buell Support forever. 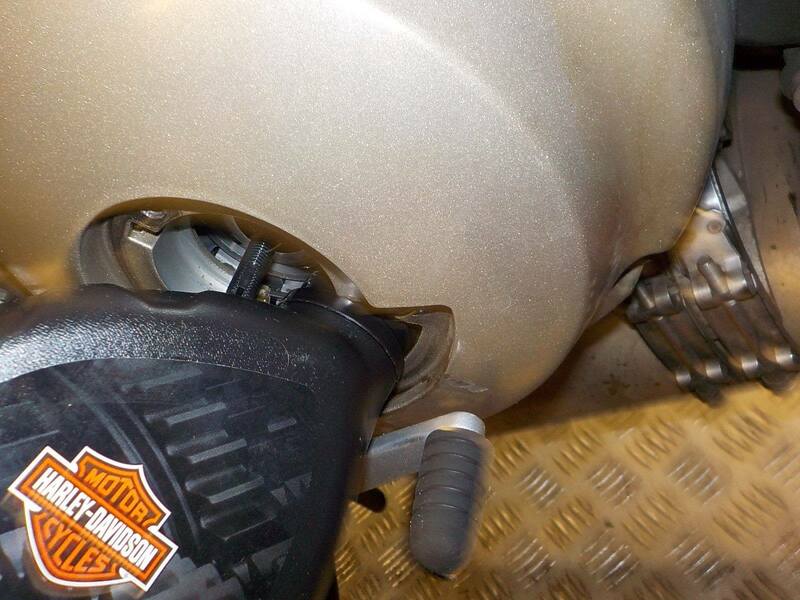 brake lever is to high up , and can not be adjusted down more — bij Twin Motorcycles Buell Support forever. 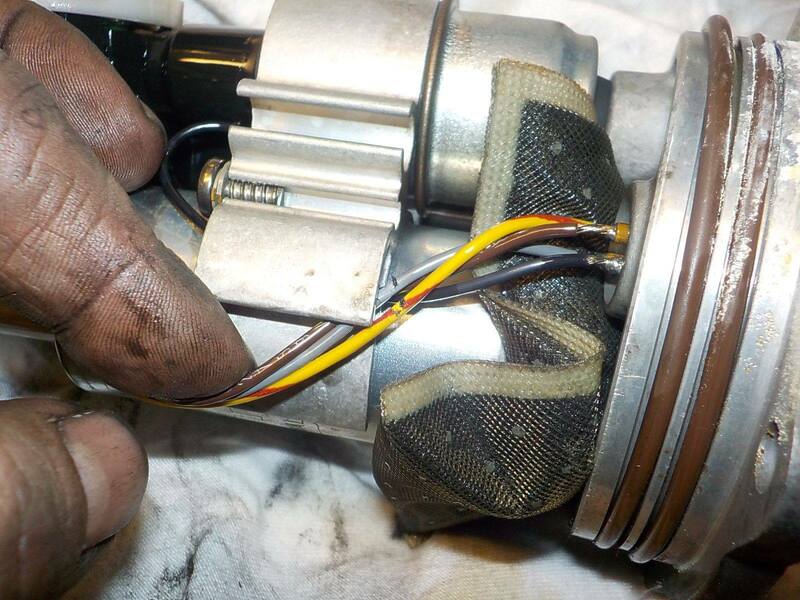 as the thread bottums out — bij Twin Motorcycles Buell Support forever. 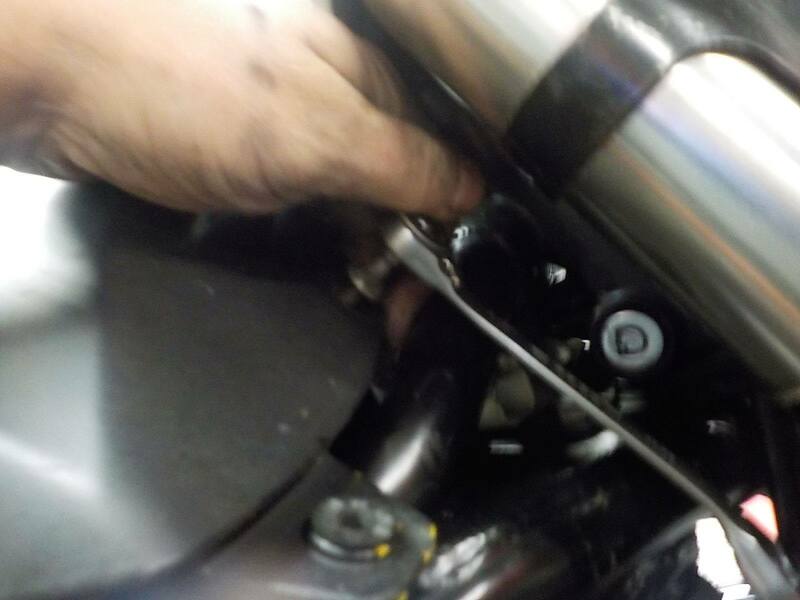 passenger peg bracket removed, and carefull take the c-clip on the master cylinder to remove the pushrod — bij Twin Motorcycles Buell Support forever. 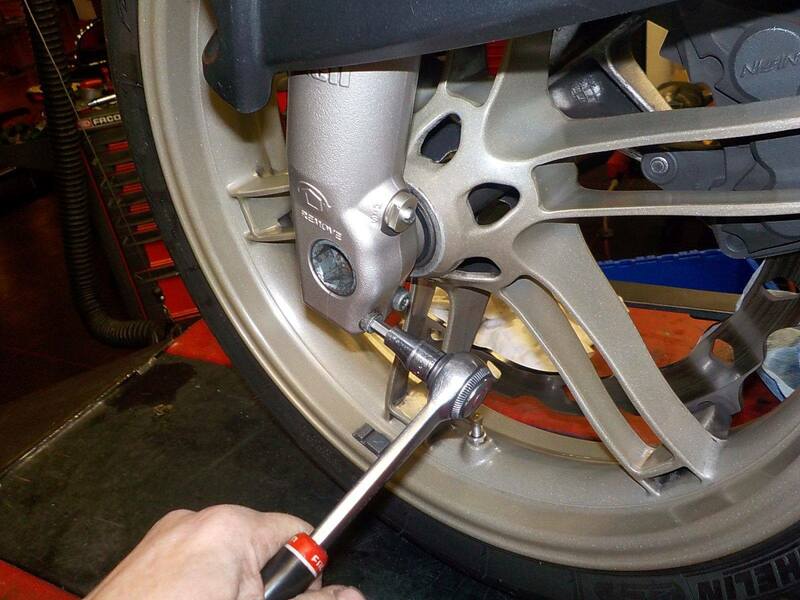 cut it a little shorter — bij Twin Motorcycles Buell Support forever. 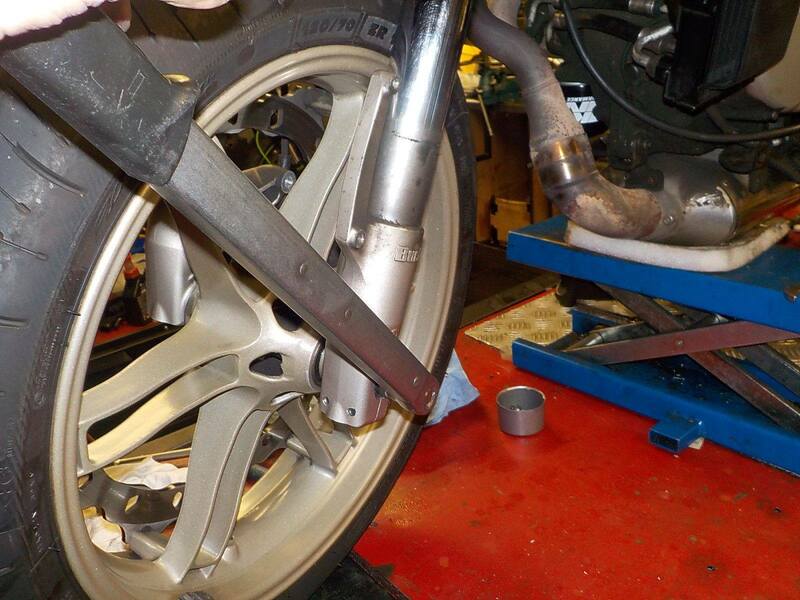 and mounting it back on — bij Twin Motorcycles Buell Support forever. 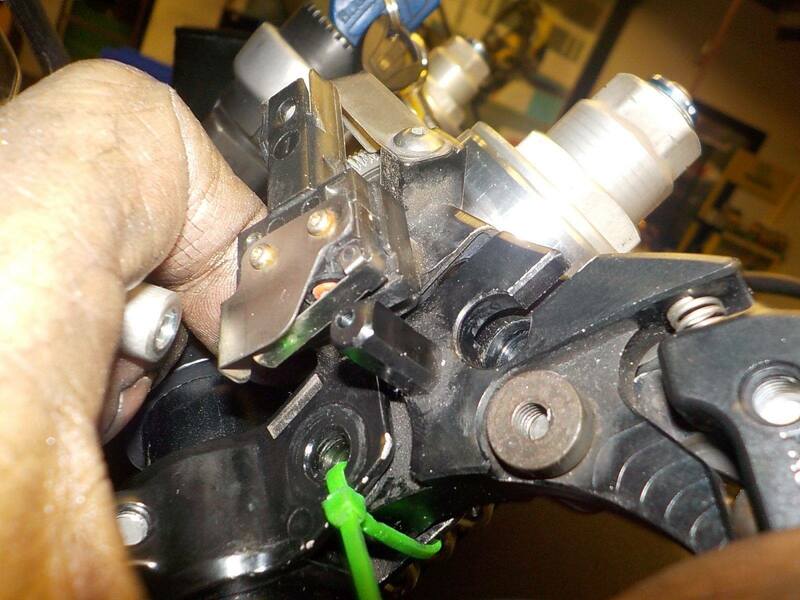 mnnn... why , the peg adaptror is mush roomed — bij Twin Motorcycles Buell Support forever. 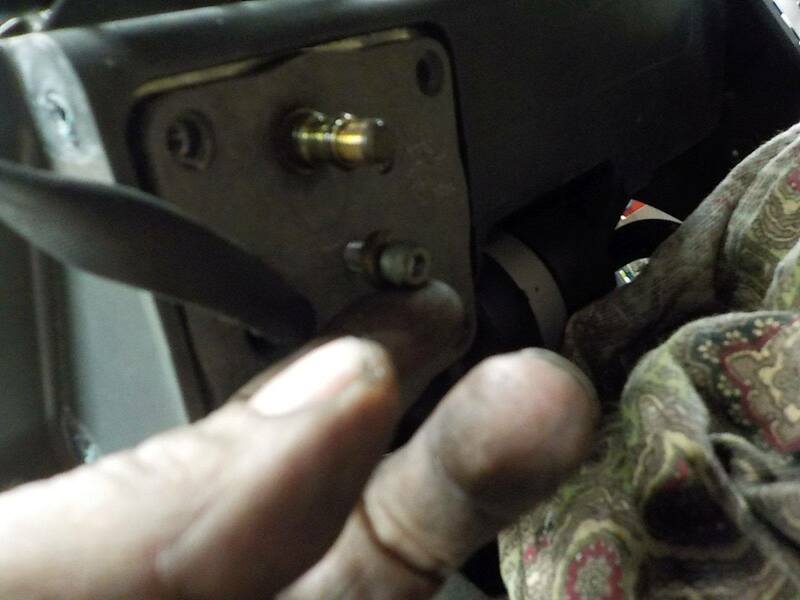 and to make it fit the bearing is sanded out the lever ... why not grinded off the mushroom ( what i did now ) but the very much play is very little to do about other than replace the brake lever — bij Twin Motorcycles Buell Support forever. anbyway.. pedal down. 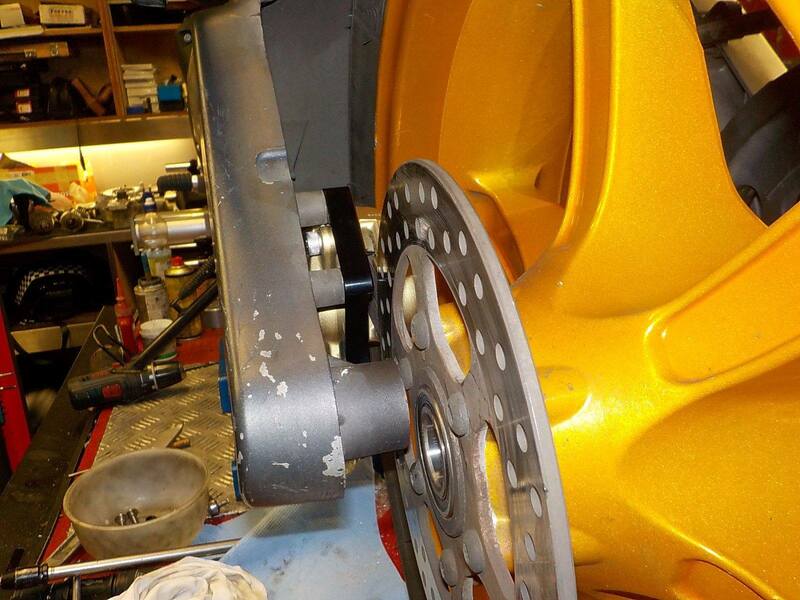 and master mounted — bij Twin Motorcycles Buell Support forever. 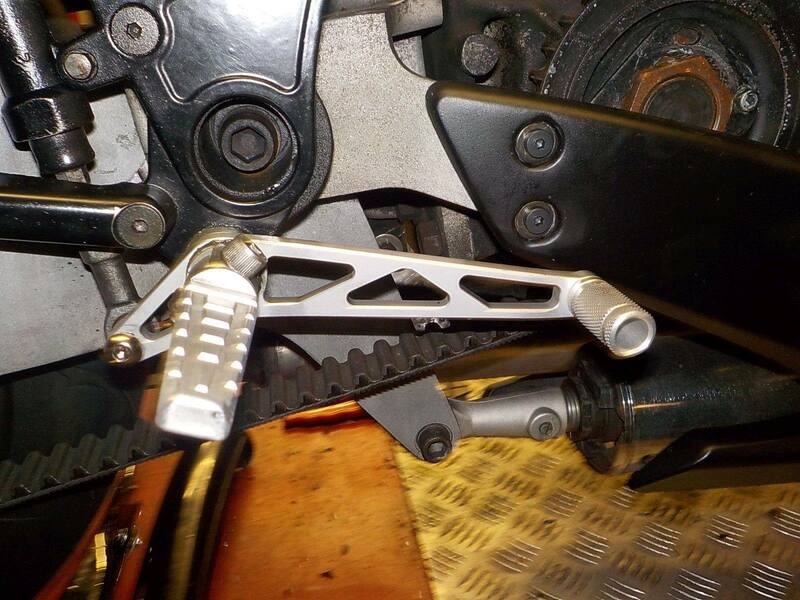 peg bracket on — bij Twin Motorcycles Buell Support forever. 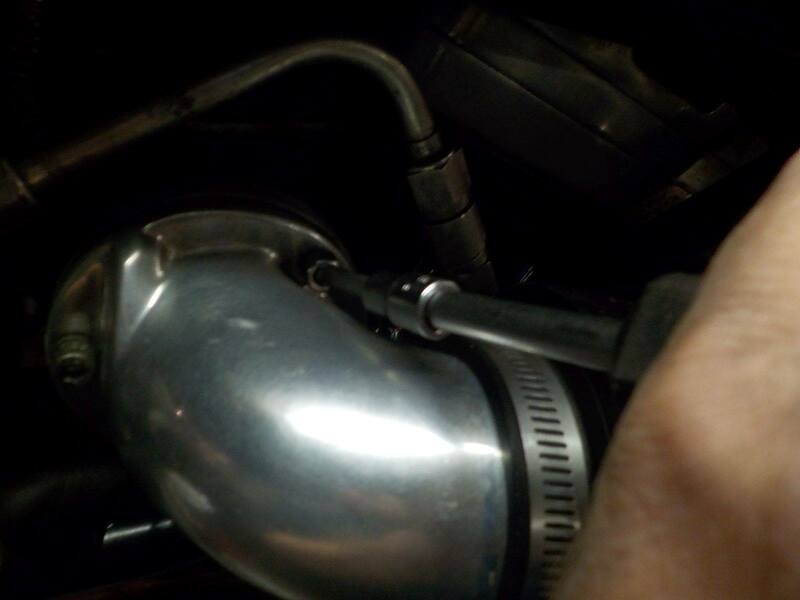 intake horn on,.. ball end allen key are your friend here — bij Twin Motorcycles Buell Support forever. 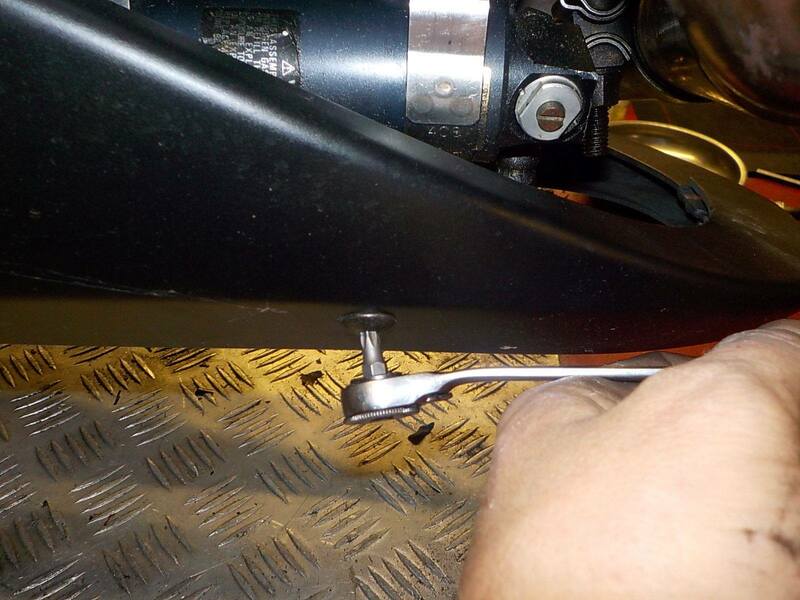 wil put new wellnuts in the cover — bij Twin Motorcycles Buell Support forever. 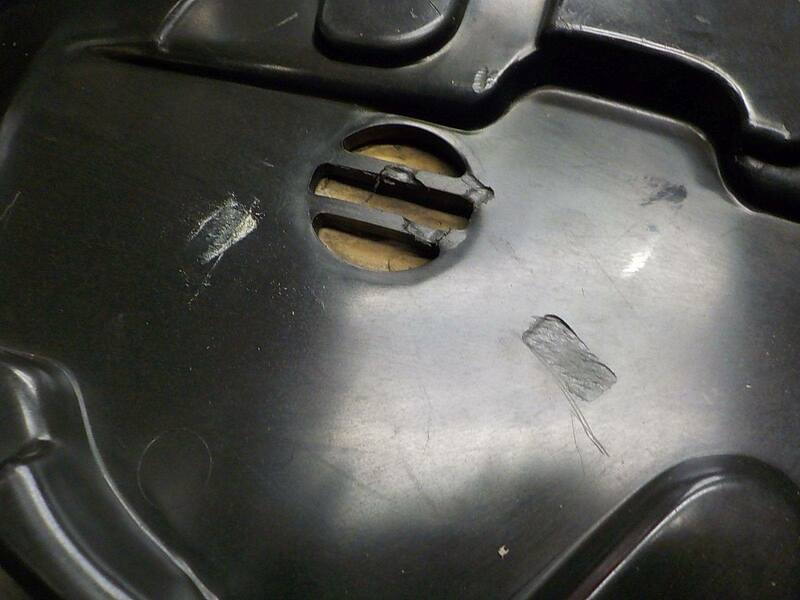 outer cover fixed to the frame — bij Twin Motorcycles Buell Support forever. 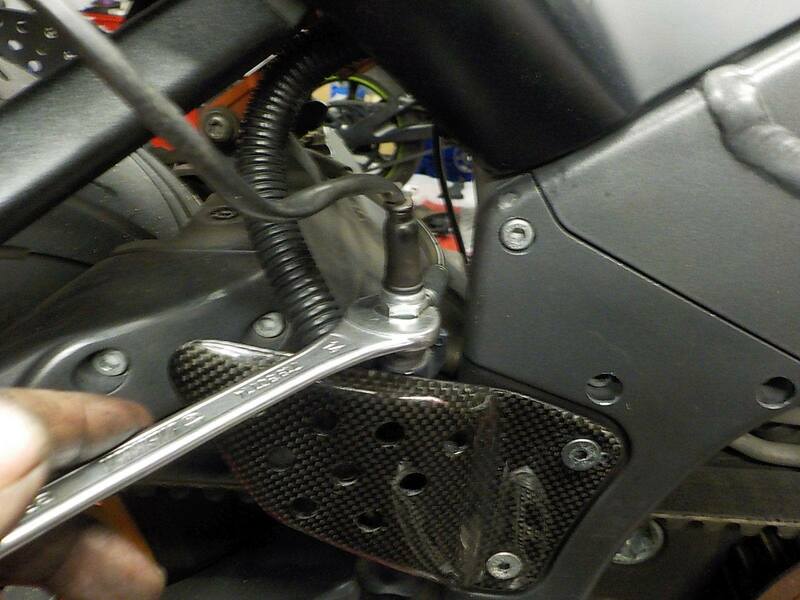 and panel filler on — bij Twin Motorcycles Buell Support forever. 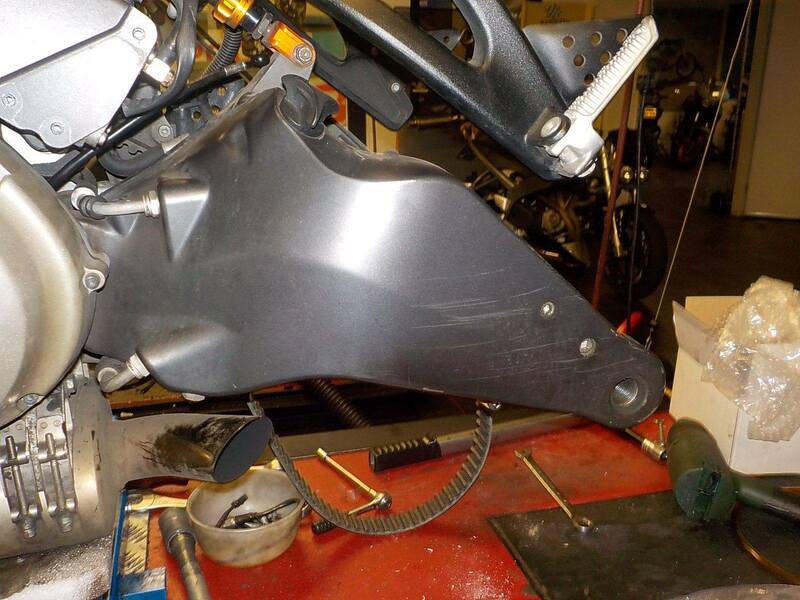 other side a bit off a challenge — bij Twin Motorcycles Buell Support forever. 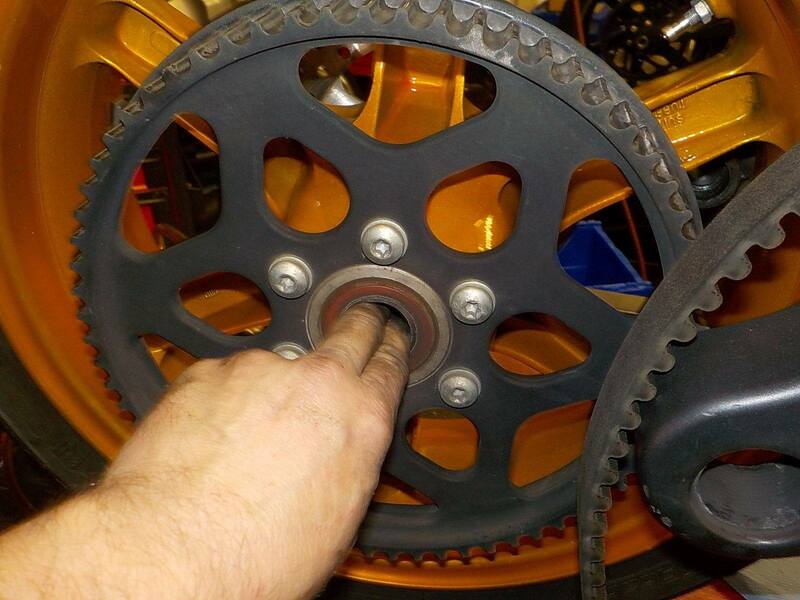 made a support ring.. easy to mount now — bij Twin Motorcycles Buell Support forever. 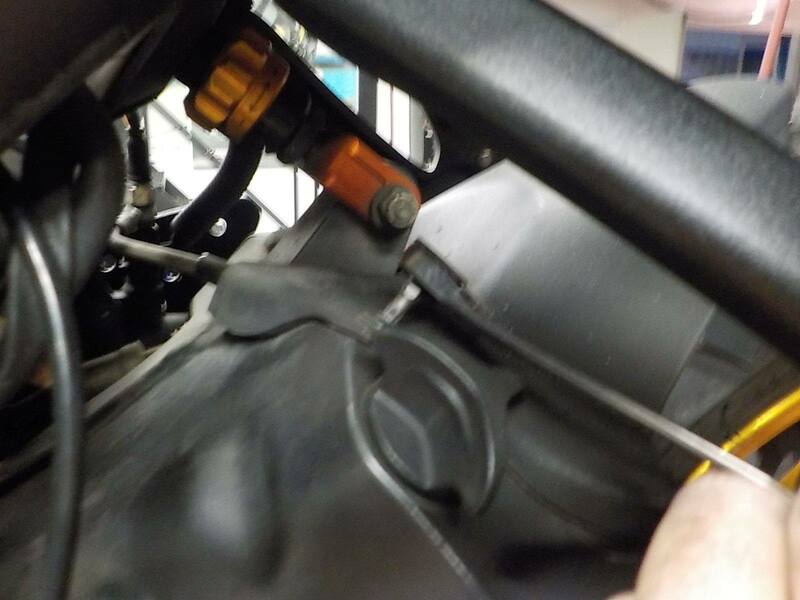 S1 shifter .. yes fist on the X1 but drastic things needed to be done to the chin spoiler .. cutting a new hole — bij Twin Motorcycles Buell Support forever. 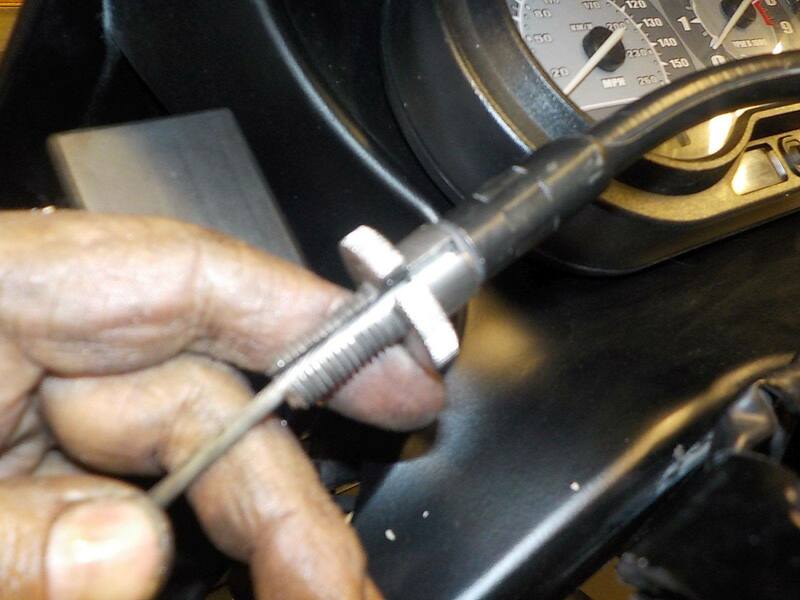 long bolt... to long so lock washers where used as spacer — bij Twin Motorcycles Buell Support forever. 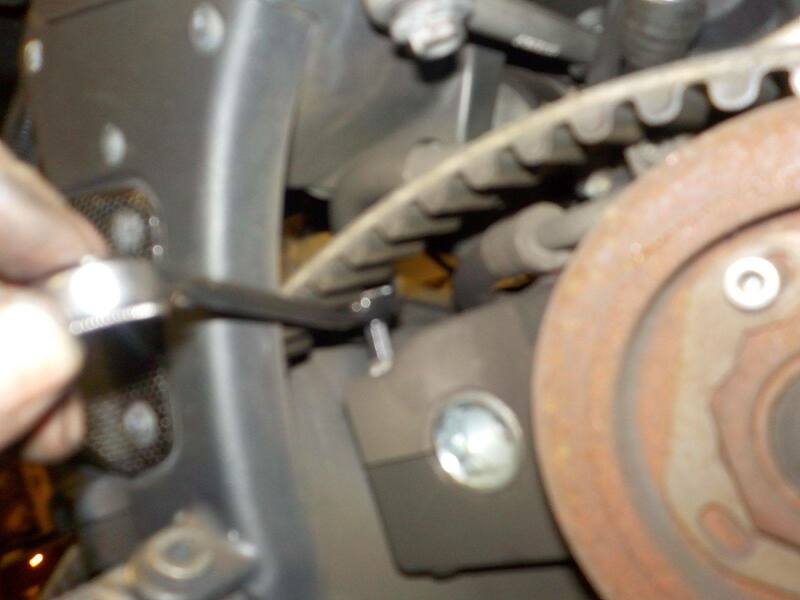 i cut the bolt a little shorter better so — bij Twin Motorcycles Buell Support forever. 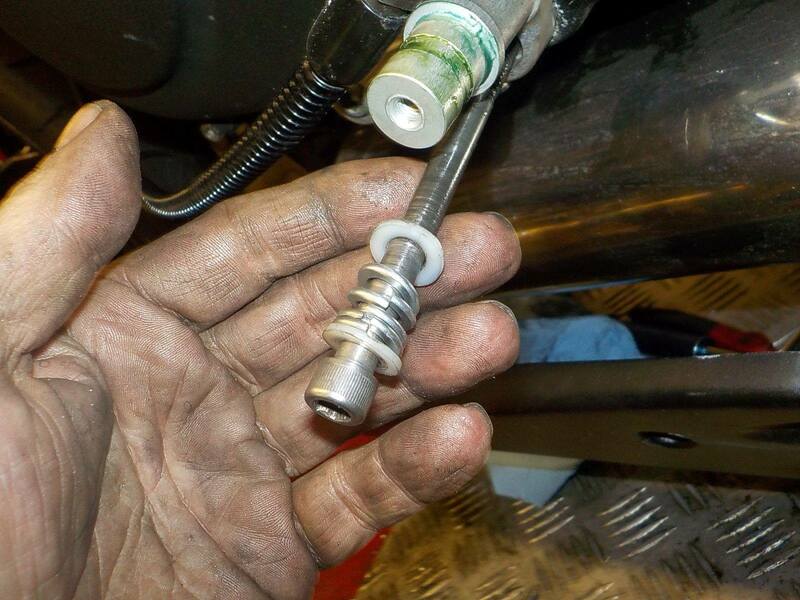 check... neutral switch.. i could not get a reading , need a new switch — bij Twin Motorcycles Buell Support forever. 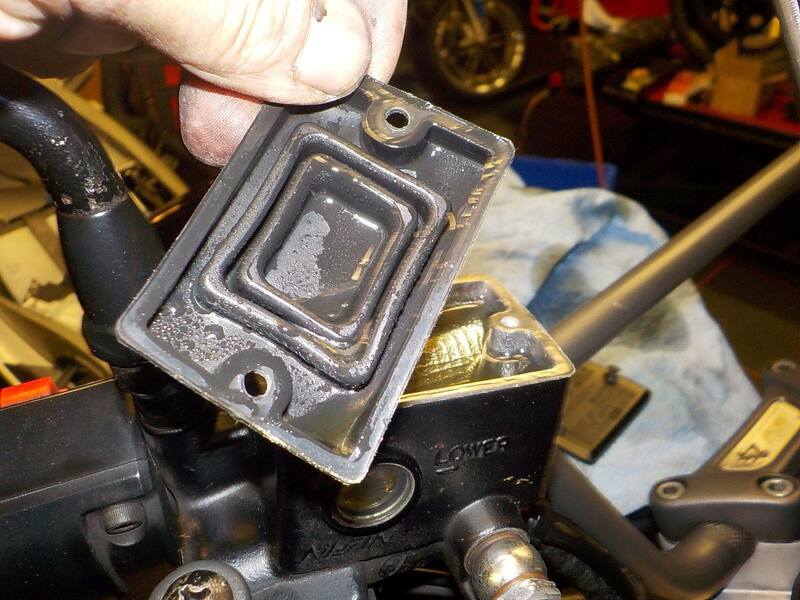 lockplate off — bij Twin Motorcycles Buell Support forever. 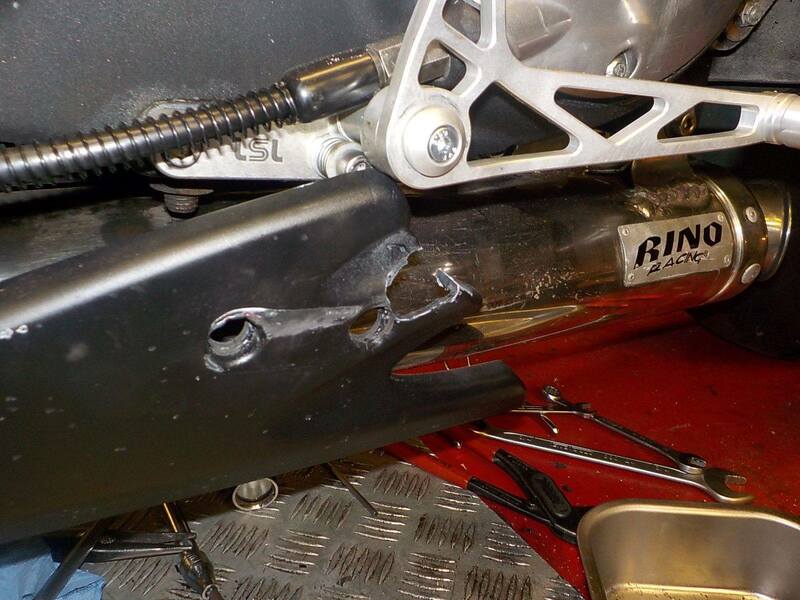 and big nut off — bij Twin Motorcycles Buell Support forever. 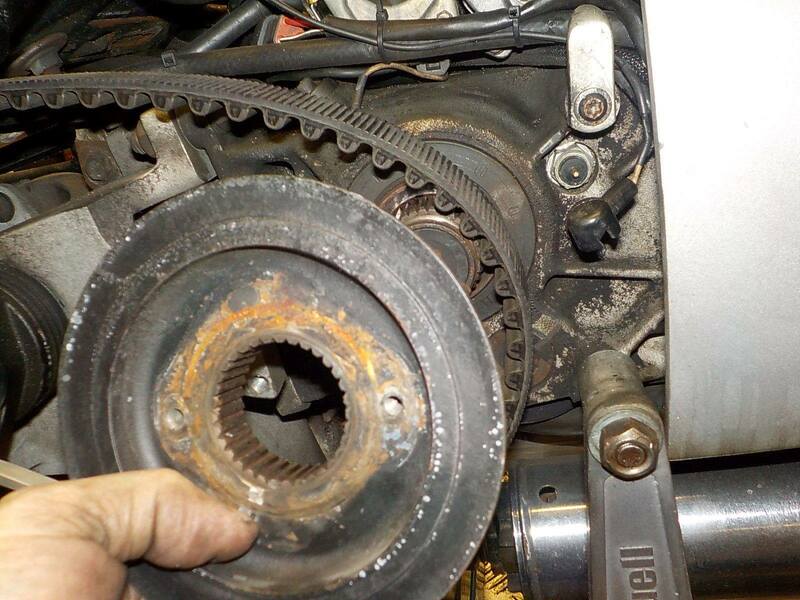 pulley can be slided off the splines — bij Twin Motorcycles Buell Support forever. 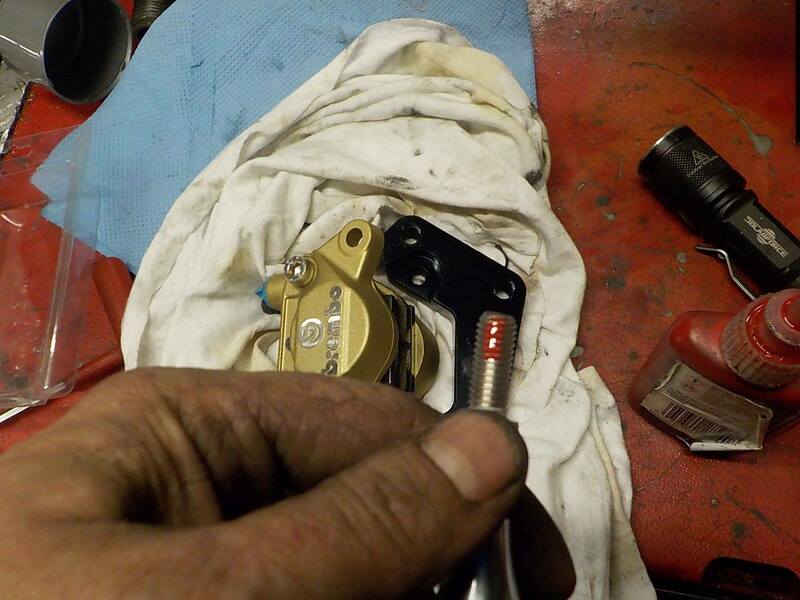 and neutral switch replaced — bij Twin Motorcycles Buell Support forever. 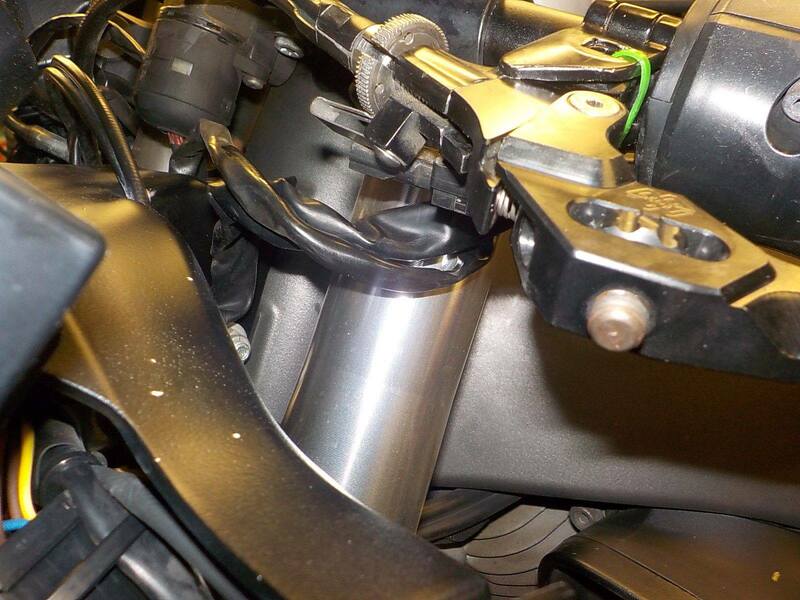 better — bij Twin Motorcycles Buell Support forever. 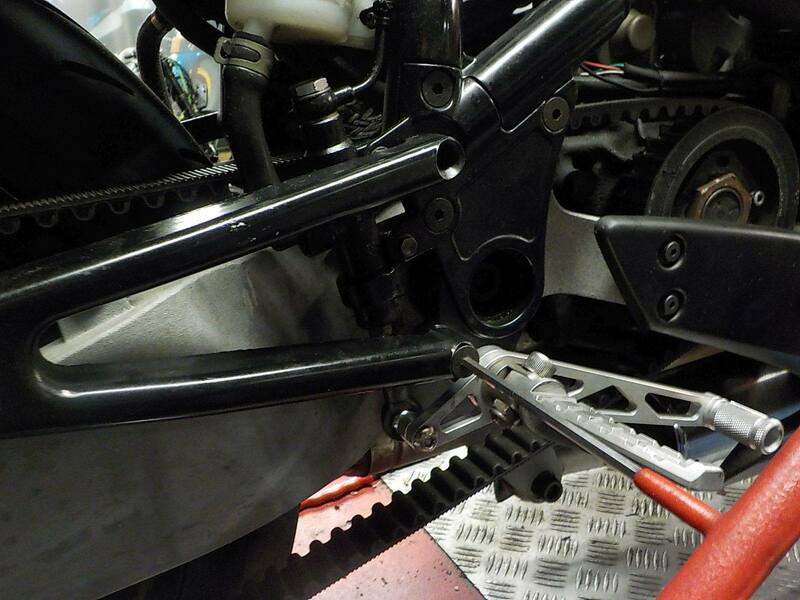 check check ... works — bij Twin Motorcycles Buell Support forever. 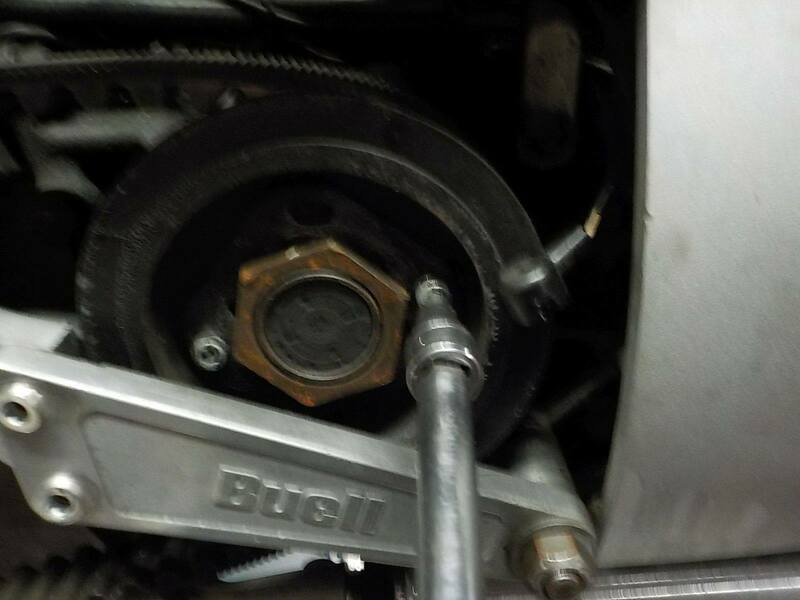 pully back on — bij Twin Motorcycles Buell Support forever. 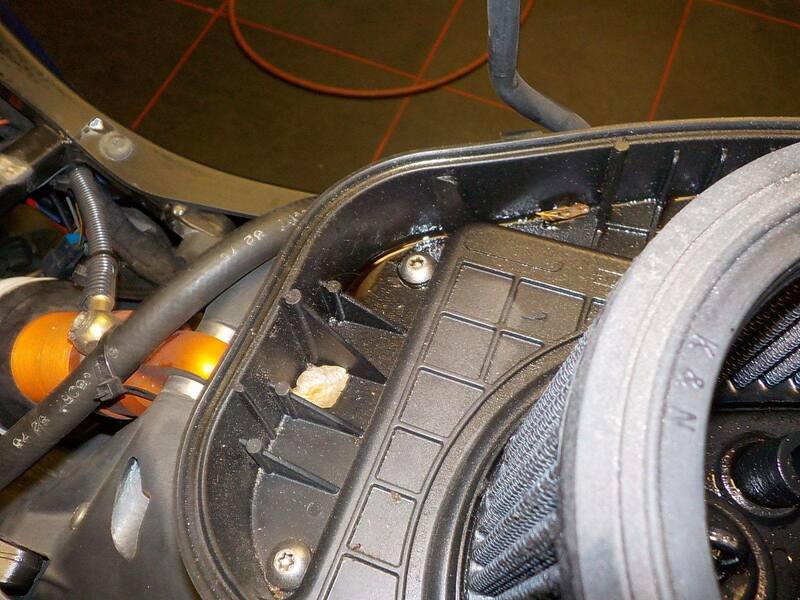 and heat cycle again — bij Twin Motorcycles Buell Support forever. 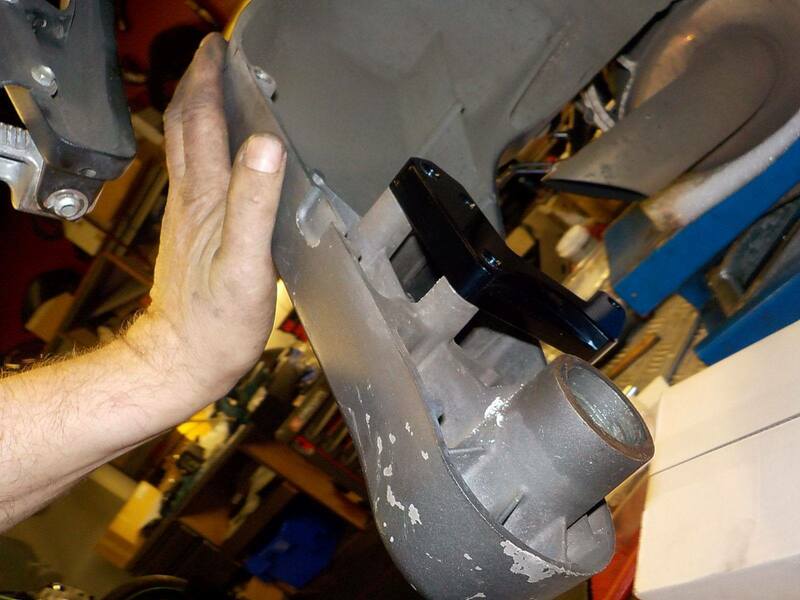 we used oversided XB cylinders on this one, the cooling fins are bigger — bij Twin Motorcycles Buell Support forever. 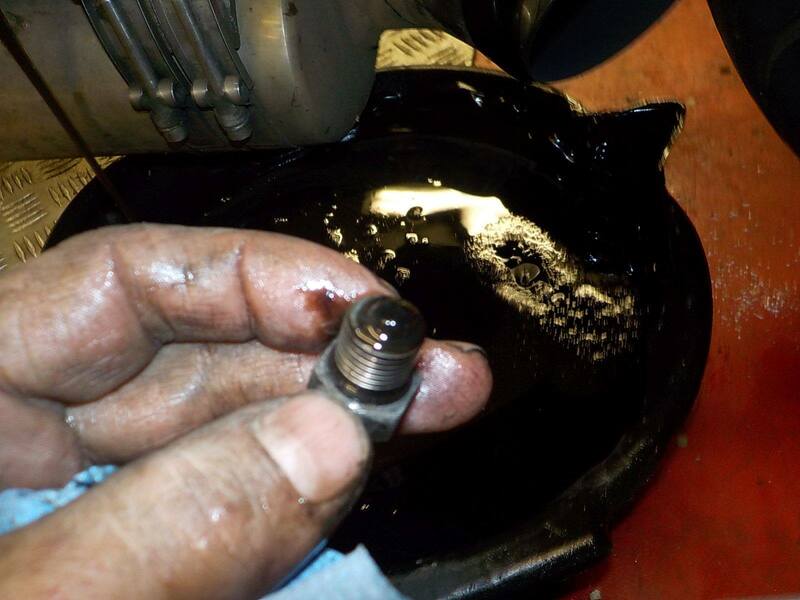 setting oil level... half way on the stick is good , to much and the oil will come out the head breather — bij Twin Motorcycles Buell Support forever. 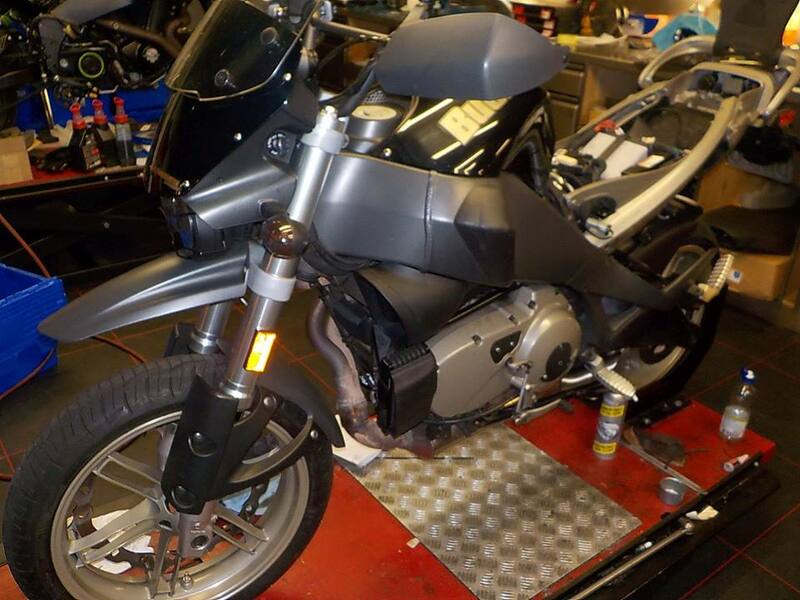 lots off stuf to do on this XB12R ( ex racer ) — bij Twin Motorcycles Buell Support forever. 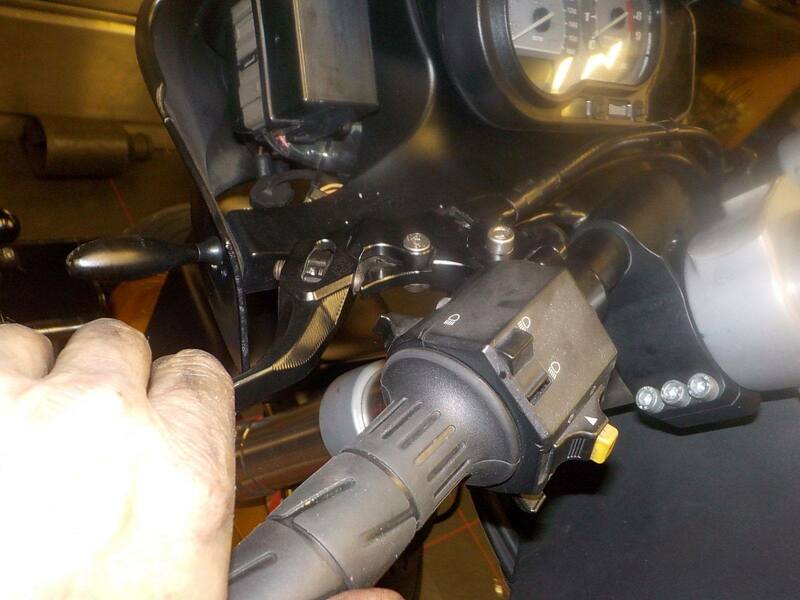 low lever fuel light is one — bij Twin Motorcycles Buell Support forever. opening up the bike... some signs it had a hard life . 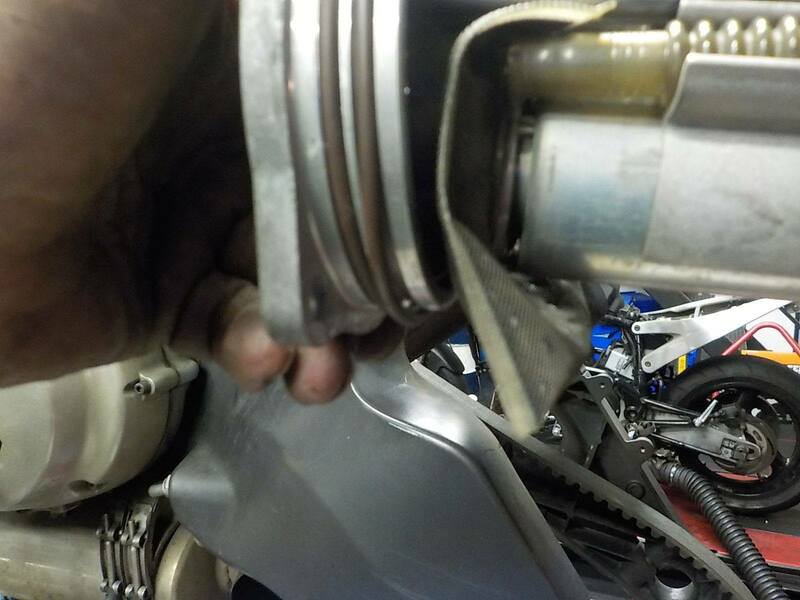 oil in the airbox , indication piston rings are starting to wear out — bij Twin Motorcycles Buell Support forever. 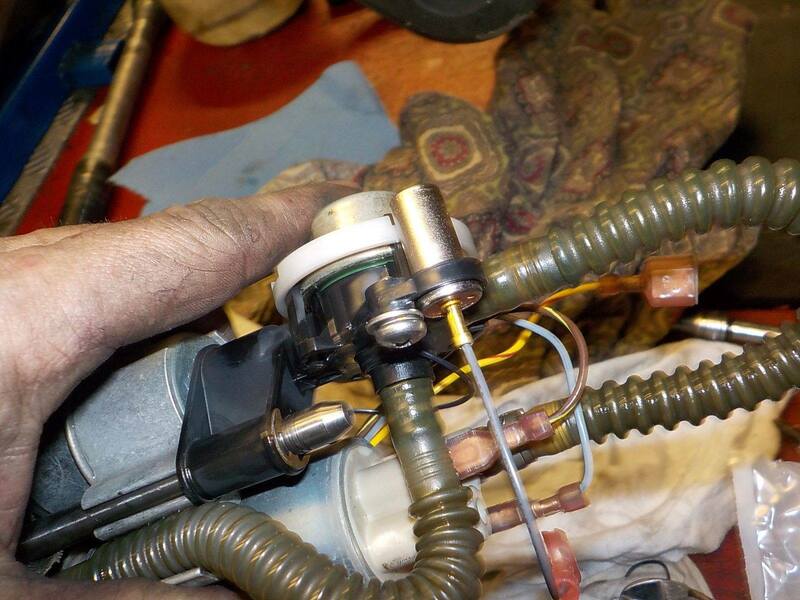 cyling the fuel pump to drain the tank — bij Twin Motorcycles Buell Support forever. 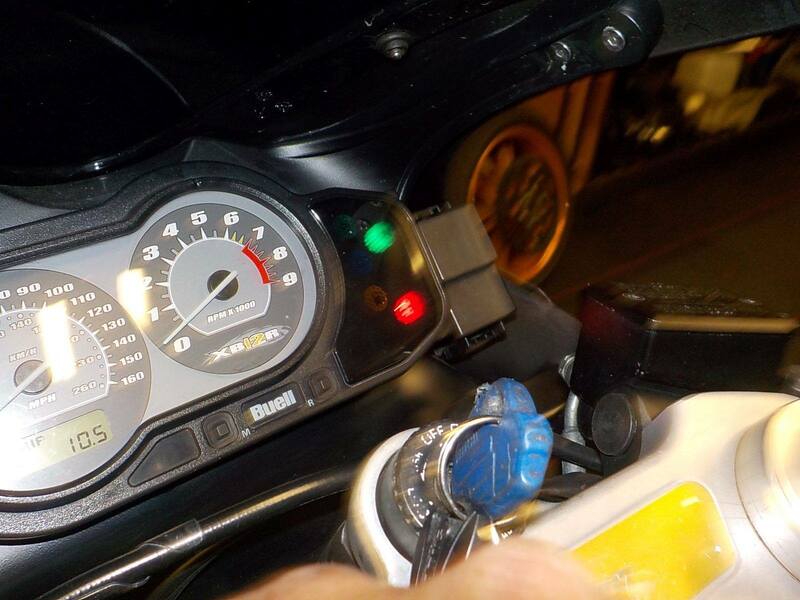 with ecm spy very easy , fuel pump test — bij Twin Motorcycles Buell Support forever. 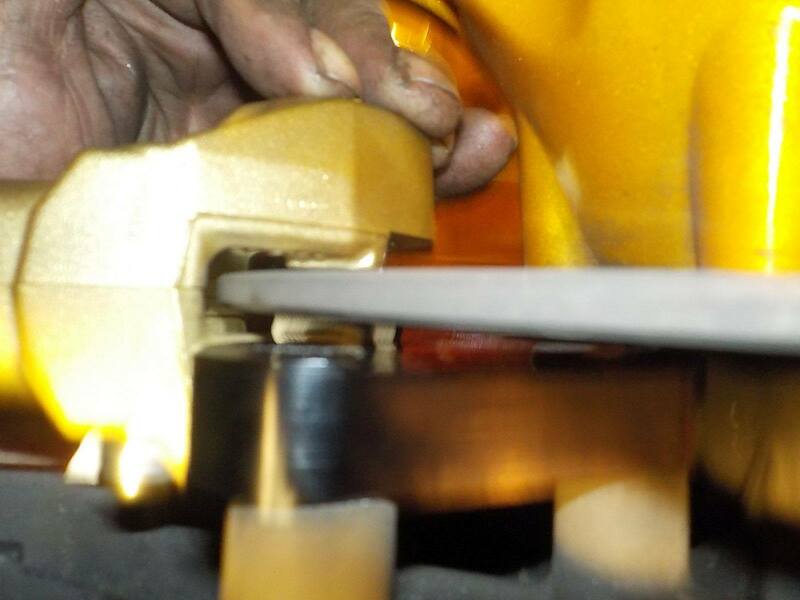 so striping the bally pan — bij Twin Motorcycles Buell Support forever. 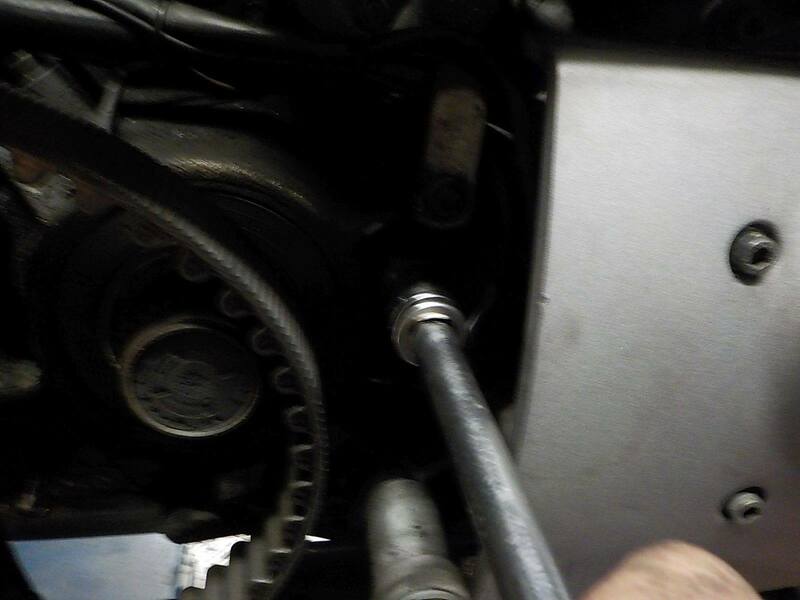 and i drain the rear brake right away , as this is going to be replaced — bij Twin Motorcycles Buell Support forever. 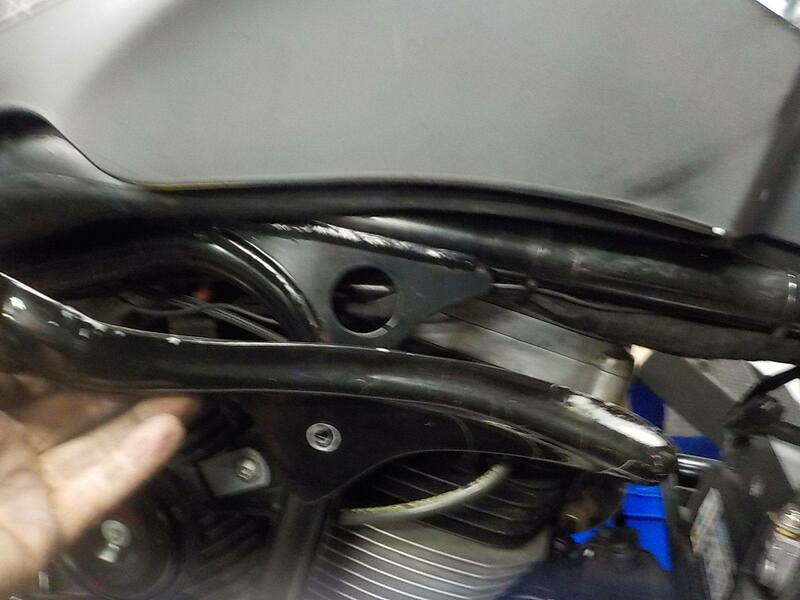 rear fender off — bij Twin Motorcycles Buell Support forever. 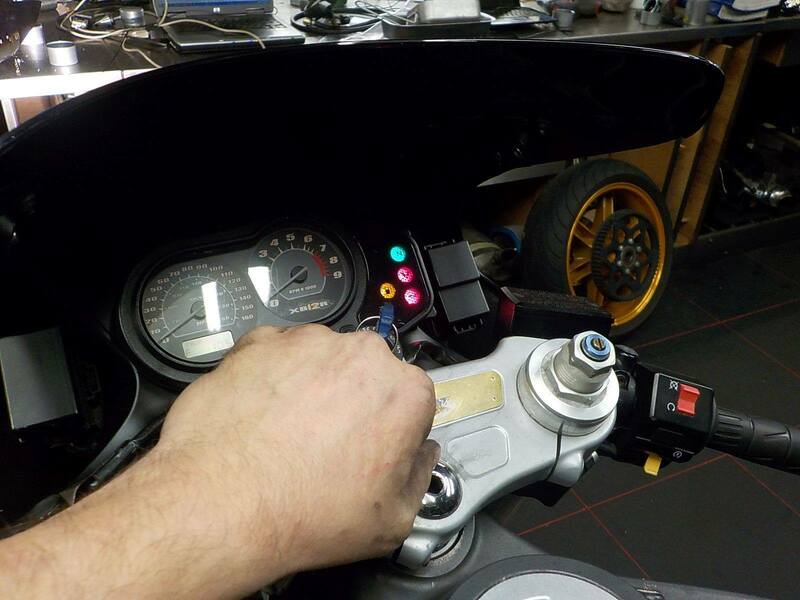 and brake light switch — bij Twin Motorcycles Buell Support forever. 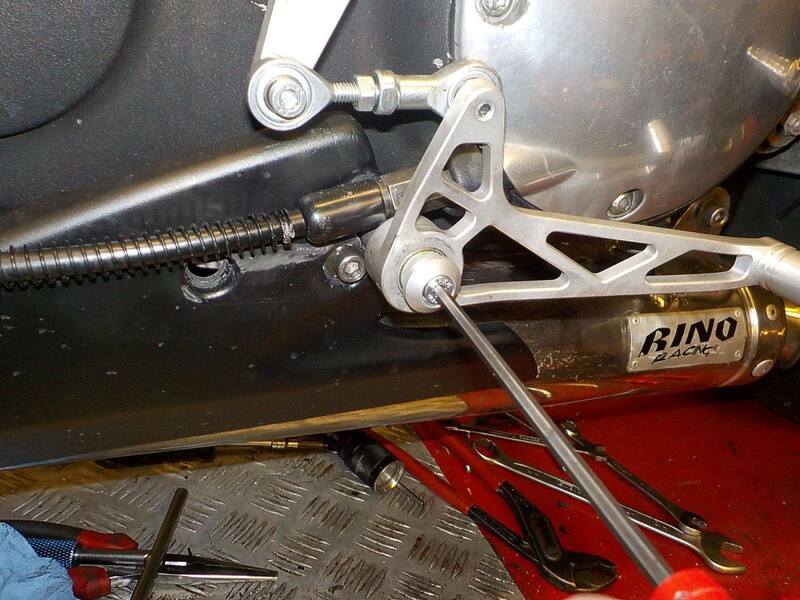 caliper with line , for the spare part box — bij Twin Motorcycles Buell Support forever. 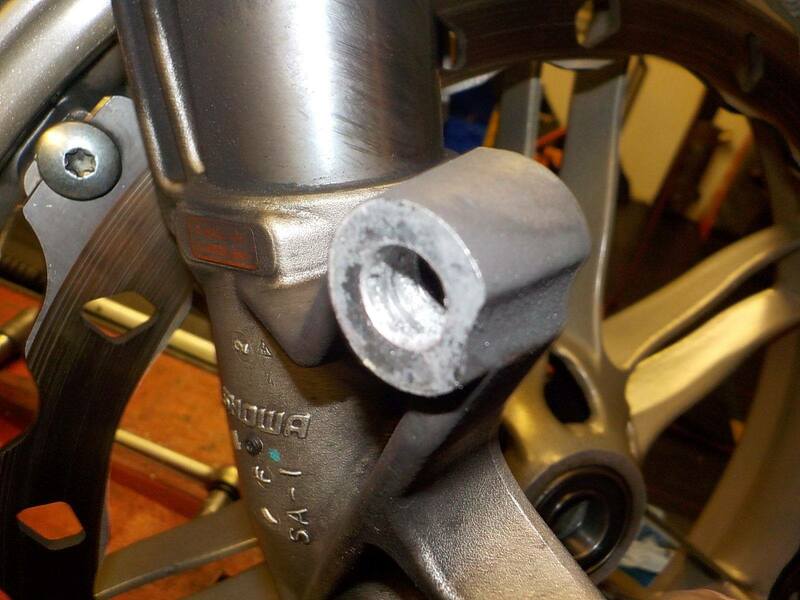 rear wheel out... bearings are done.. was that the feeling while cornering hard ? 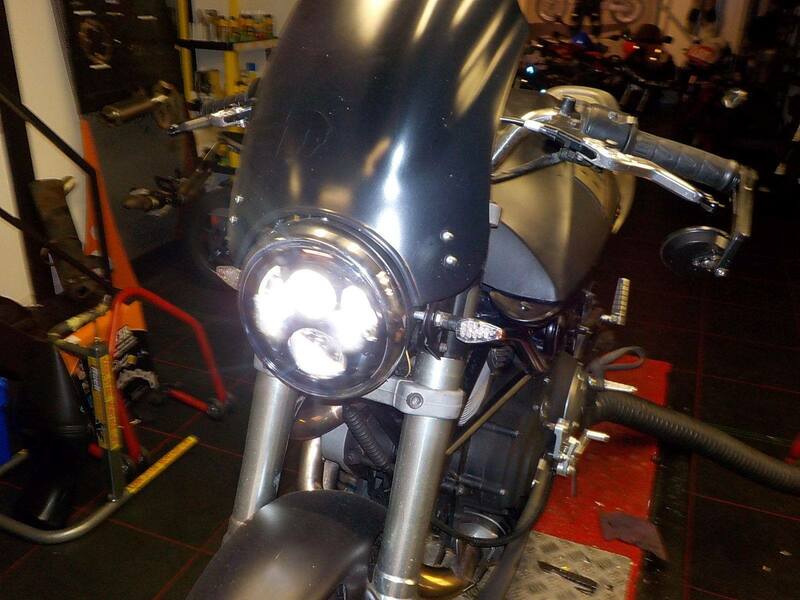 — bij Twin Motorcycles Buell Support forever. 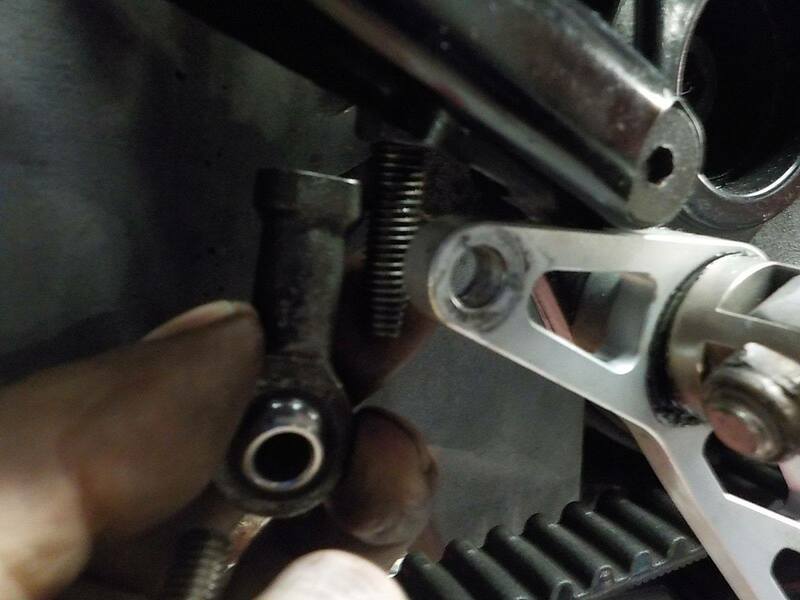 and swing arm axle out a little so the swing arm can be tilted a little to the side — bij Twin Motorcycles Buell Support forever. 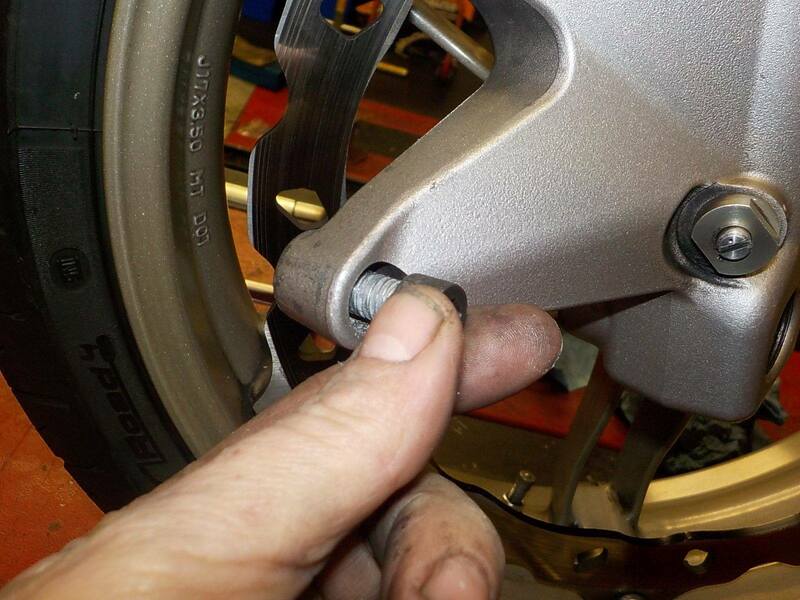 screws out the pump.. — bij Twin Motorcycles Buell Support forever. 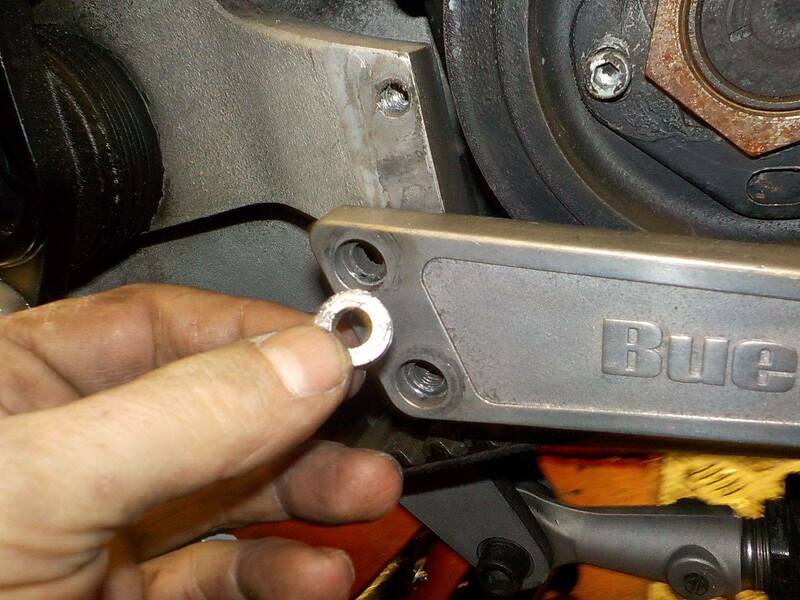 put one back in to use as puller — bij Twin Motorcycles Buell Support forever. 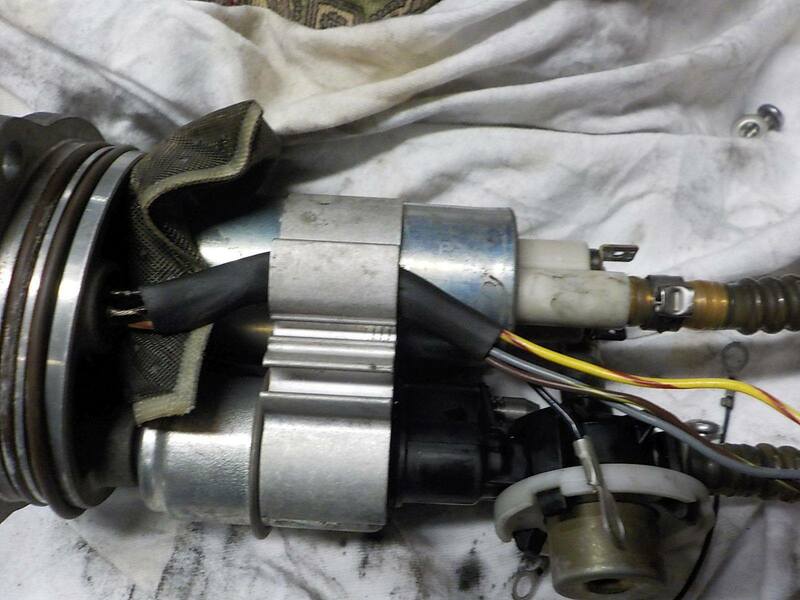 pump out.. could also be a wire problem — bij Twin Motorcycles Buell Support forever. 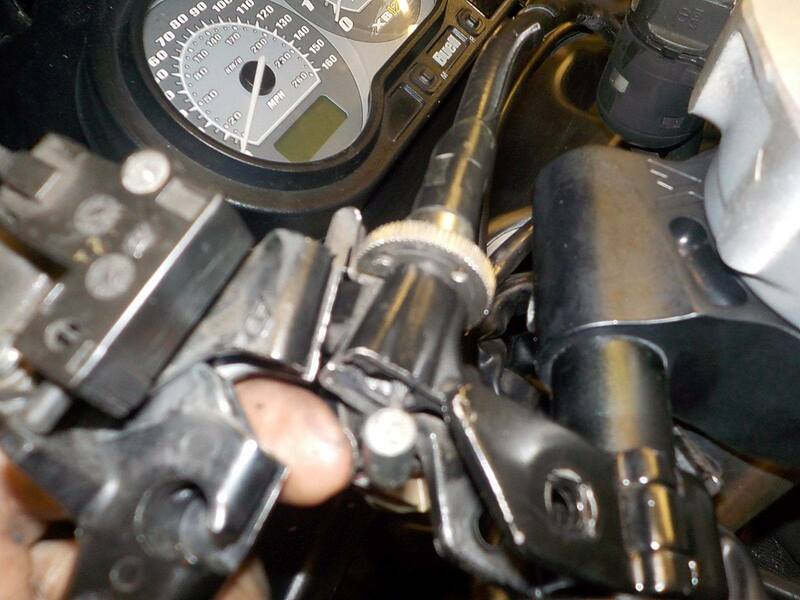 but these sensors are cheap... better put a new on in while i'm here — bij Twin Motorcycles Buell Support forever. 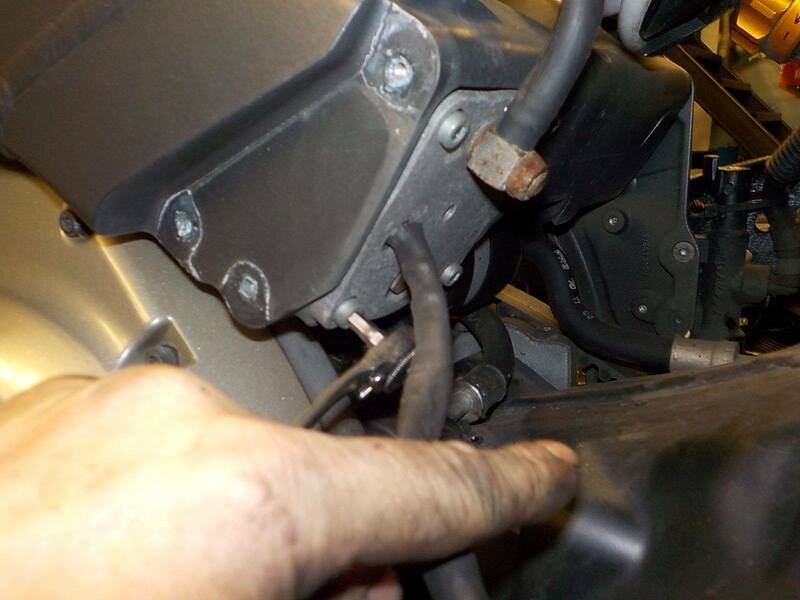 and reisolate the wires — bij Twin Motorcycles Buell Support forever. 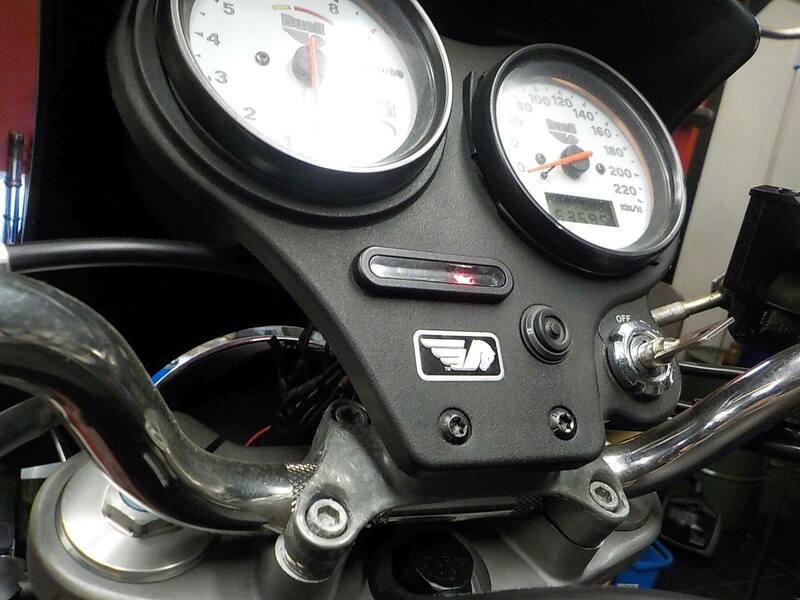 new sensor on — bij Twin Motorcycles Buell Support forever. 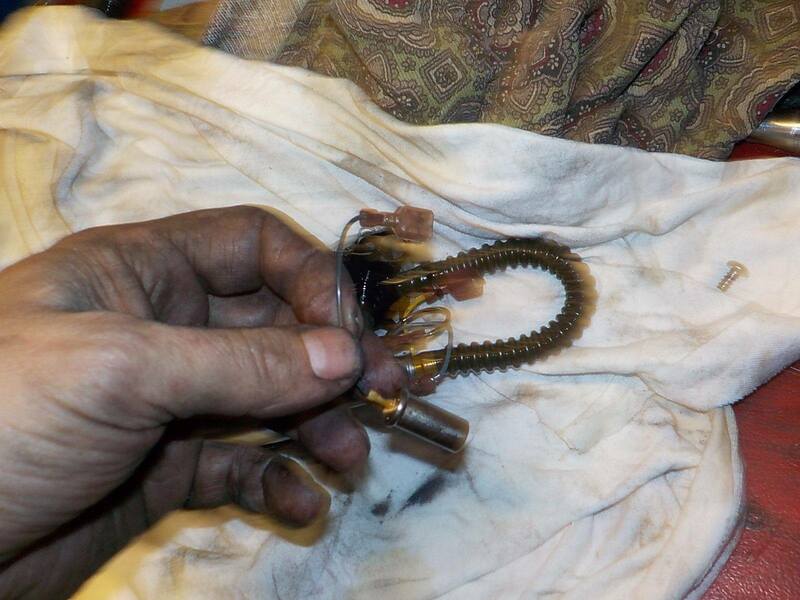 the old o-rings are swollen of the fuel — bij Twin Motorcycles Buell Support forever. 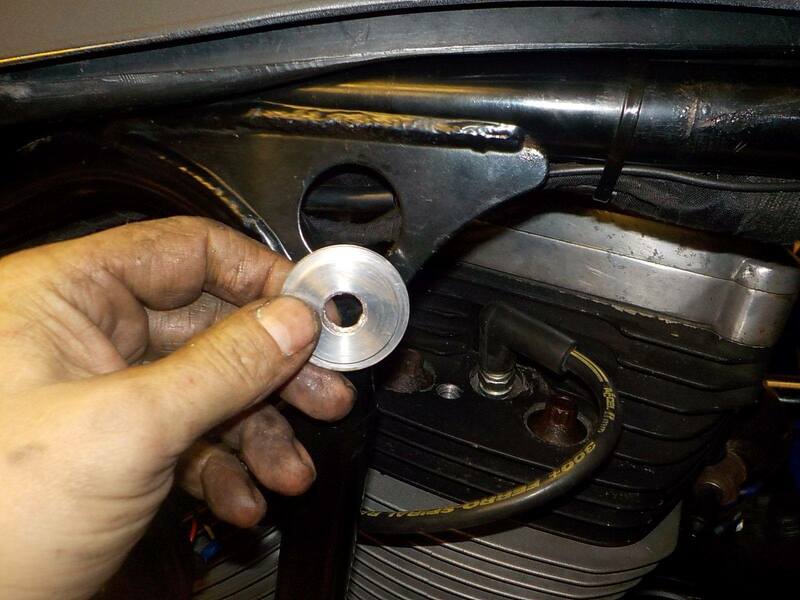 put some new o-rings on and a little mounting grease — bij Twin Motorcycles Buell Support forever. 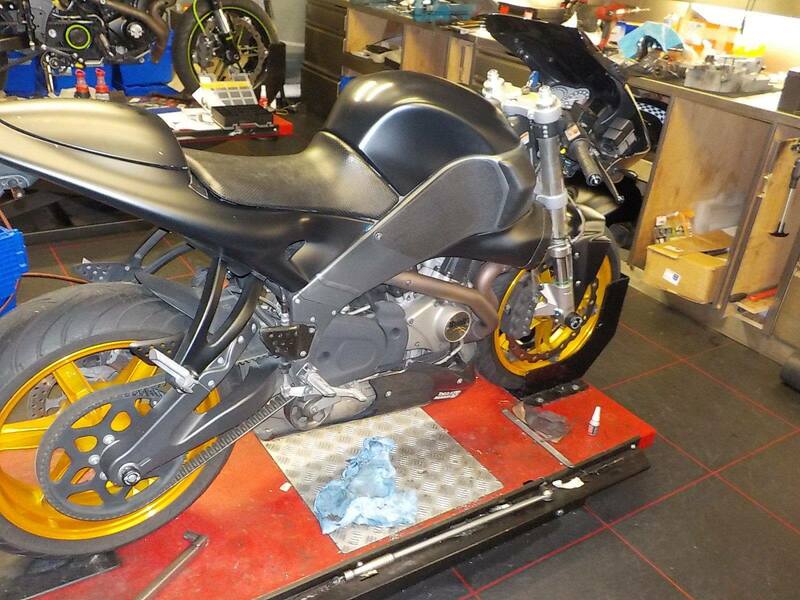 time to test — bij Twin Motorcycles Buell Support forever. 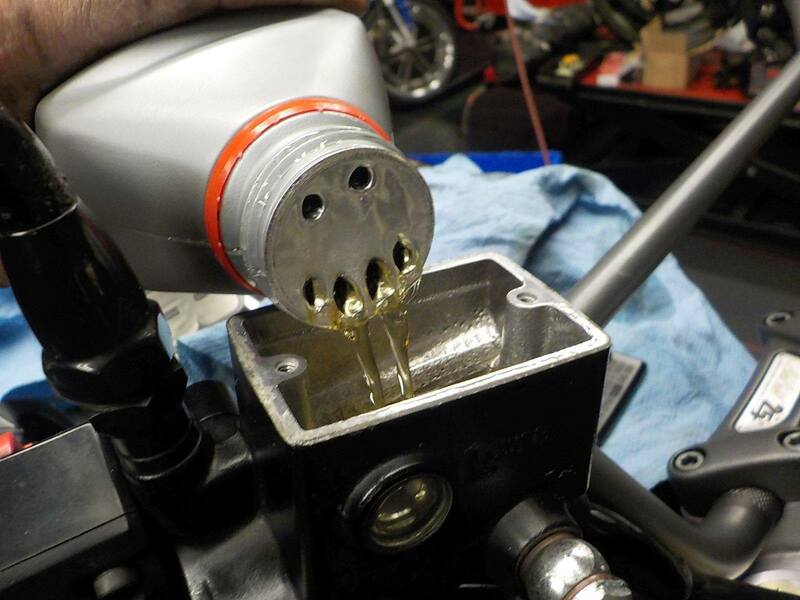 fuel in , pressure test.. checl for leaks — bij Twin Motorcycles Buell Support forever. 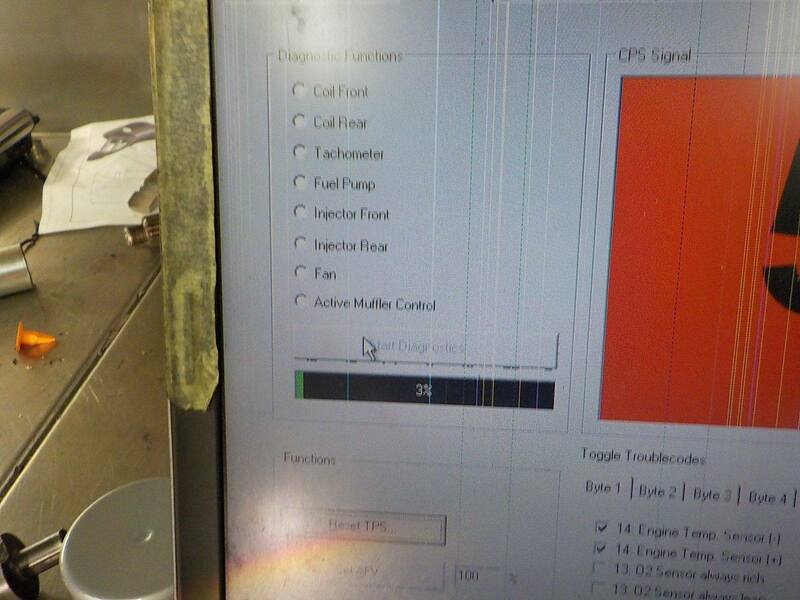 and after 10-15 seconds the low level needs to turn off :-) — bij Twin Motorcycles Buell Support forever. 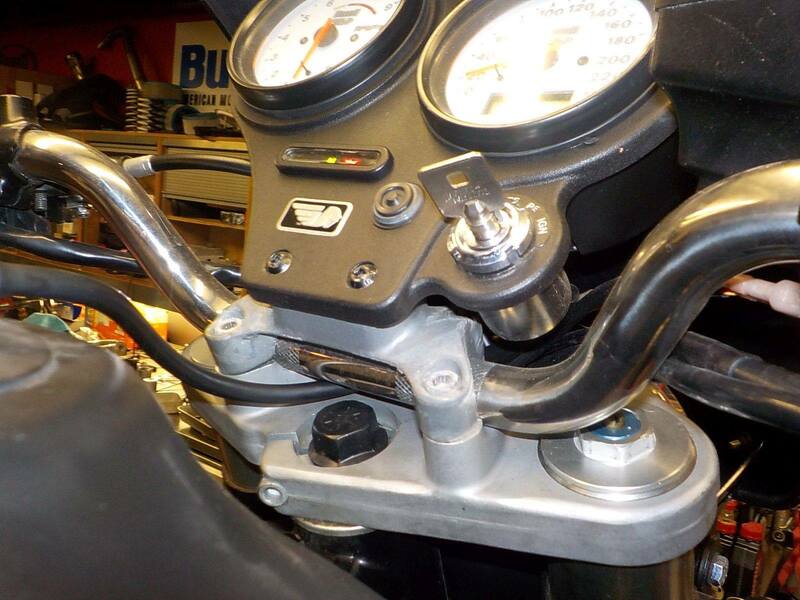 swing arm back in place — bij Twin Motorcycles Buell Support forever. 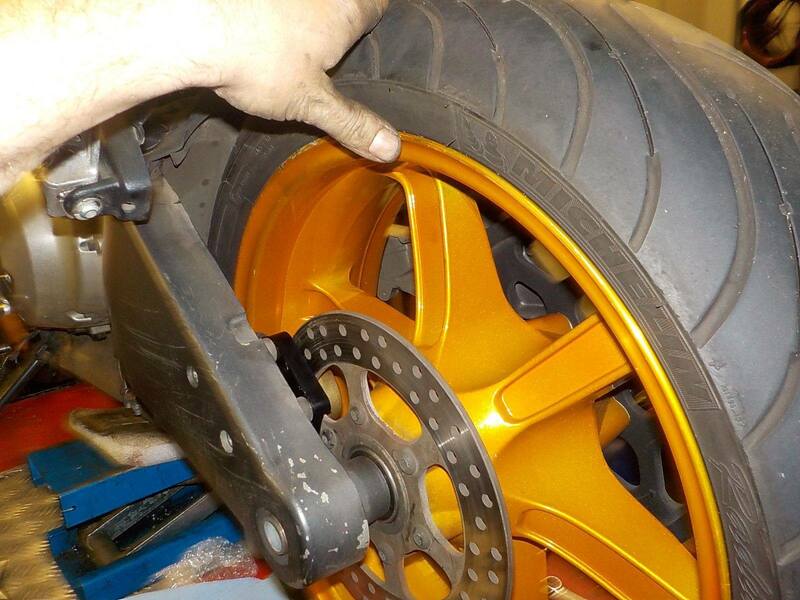 making ready teh hidden rear brake — bij Twin Motorcycles Buell Support forever. 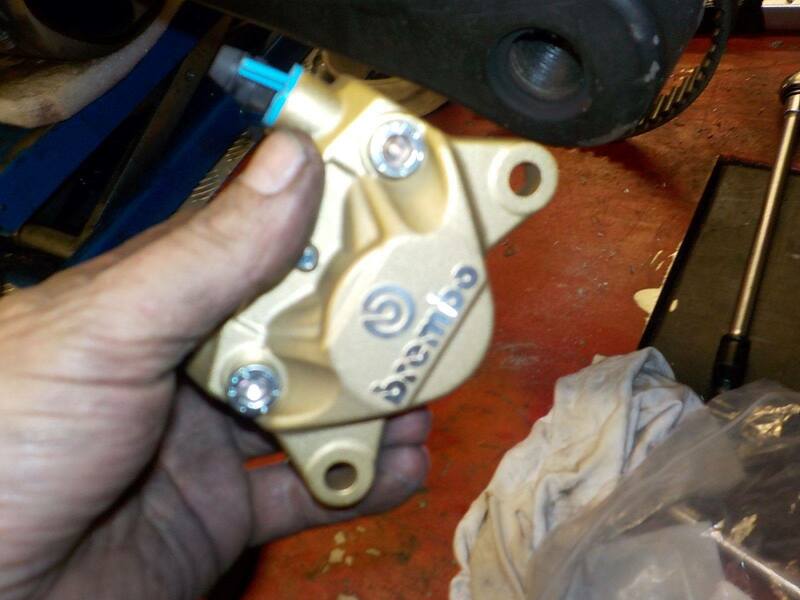 new bremo caliper .. — bij Twin Motorcycles Buell Support forever. 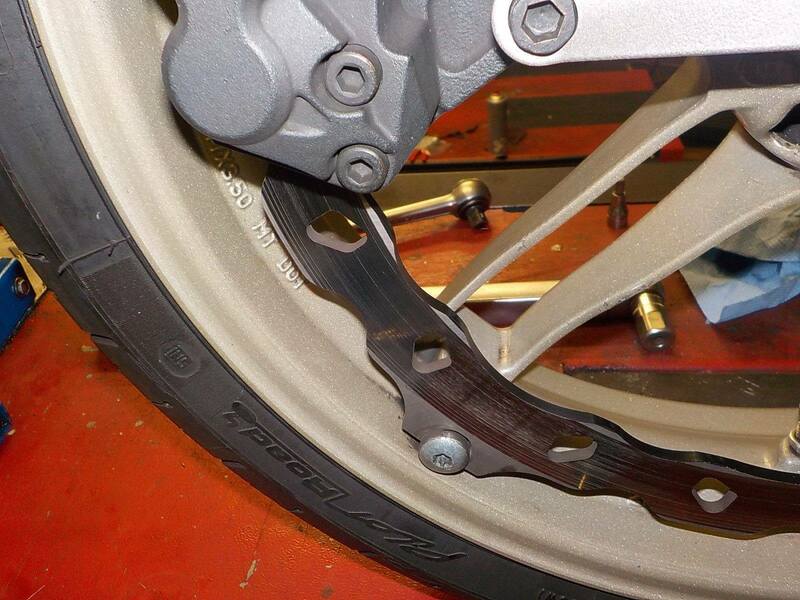 caliper on the bracket — bij Twin Motorcycles Buell Support forever. 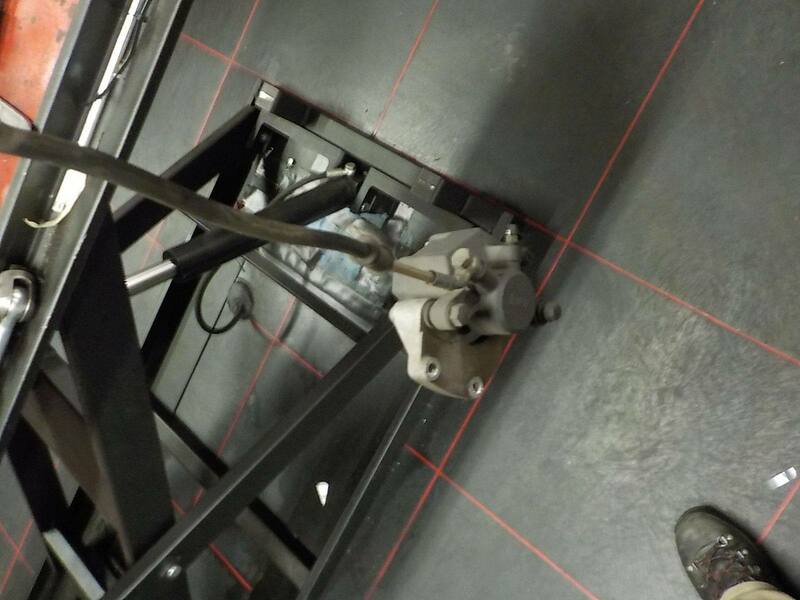 and mounting — bij Twin Motorcycles Buell Support forever. 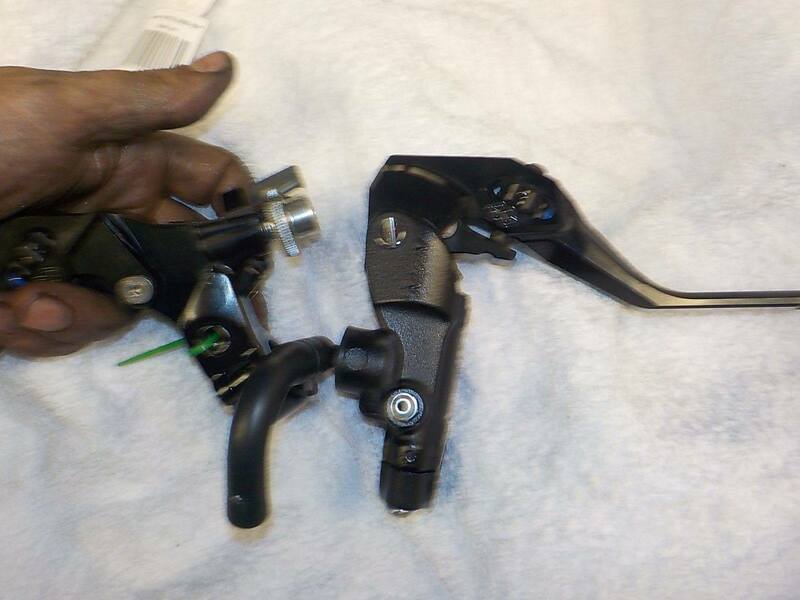 brembo !! M10 x 1 thread... — bij Twin Motorcycles Buell Support forever. 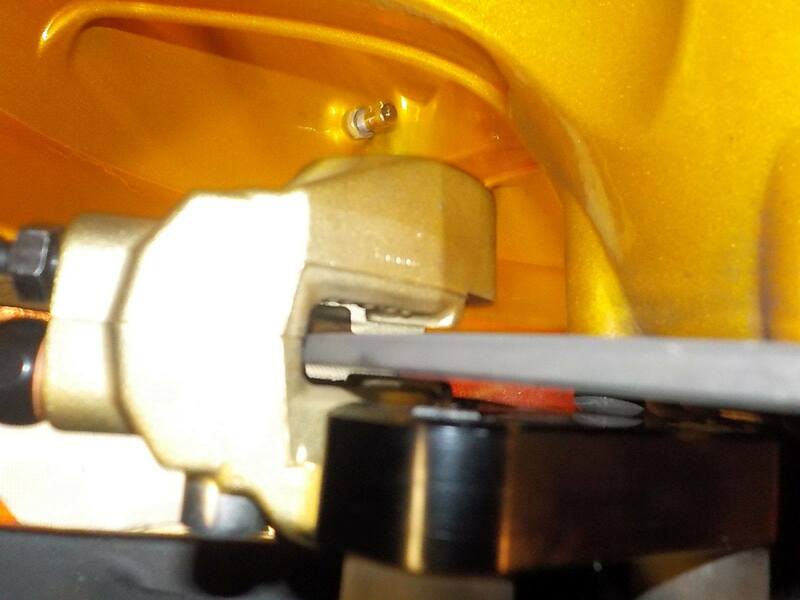 brake line routed in the swingarm slot ( where the bearing spacer is ) between the engine and swing arm — bij Twin Motorcycles Buell Support forever. 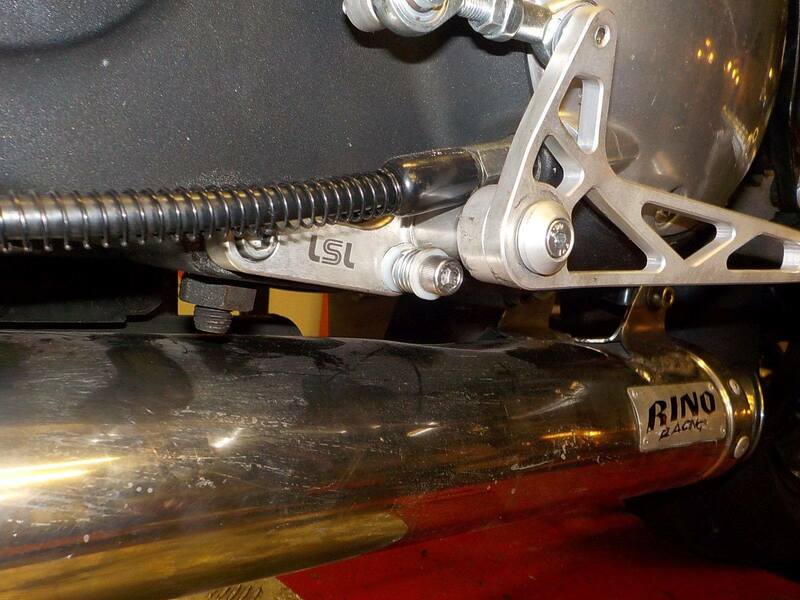 some isolation on the brake line and now it is really hidden :-) — bij Twin Motorcycles Buell Support forever. 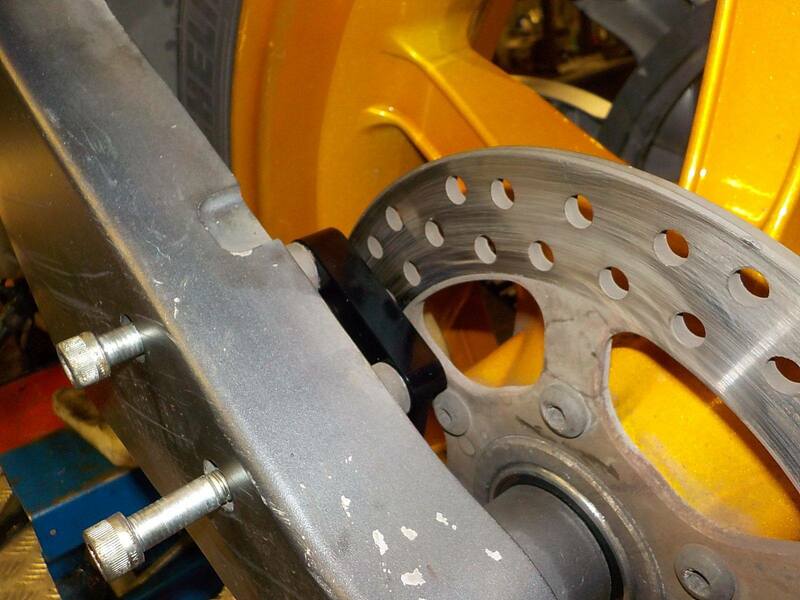 nice thing on this brake.. you can put the wheel in with our loosening the brake — bij Twin Motorcycles Buell Support forever. 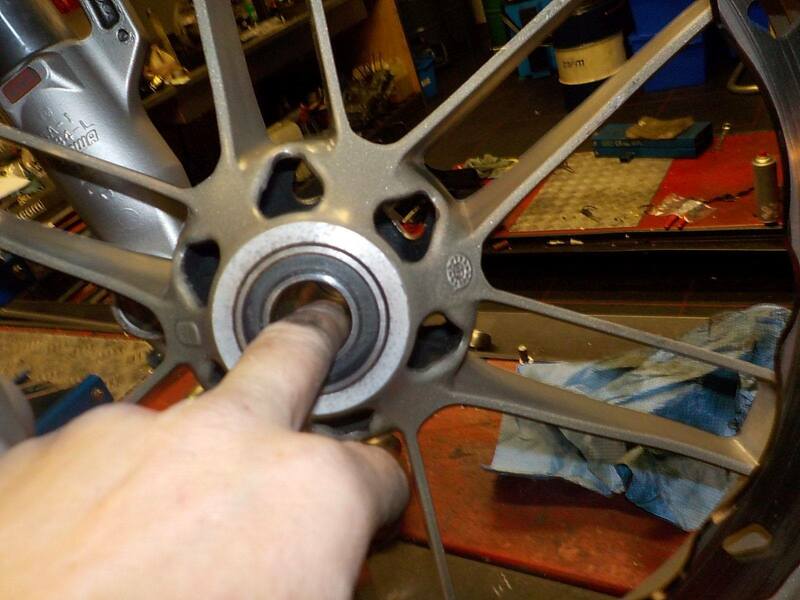 turning the wheel .. some thing is not good ? 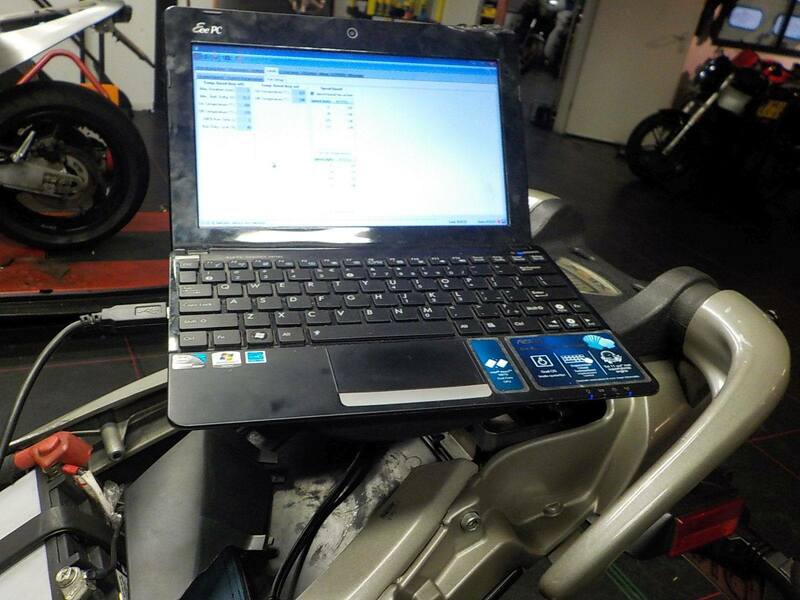 tuning way to heavy — bij Twin Motorcycles Buell Support forever. 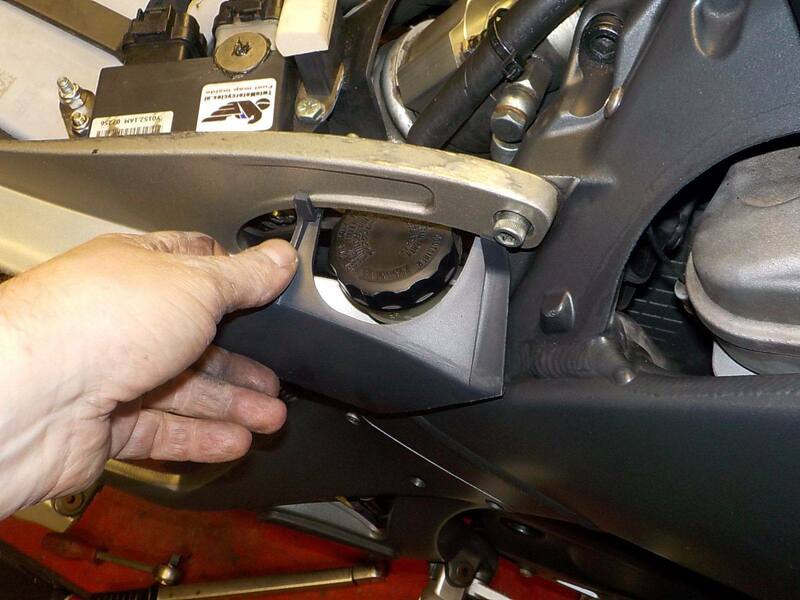 let pad is still at the bottom , right one is pushed out a little — bij Twin Motorcycles Buell Support forever. 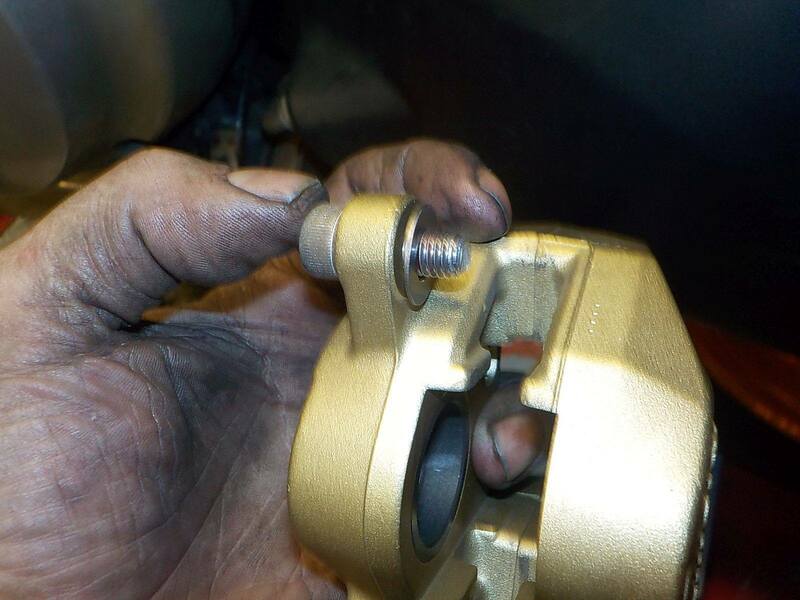 grrrr... custom parts.. caliper is misalined — bij Twin Motorcycles Buell Support forever. 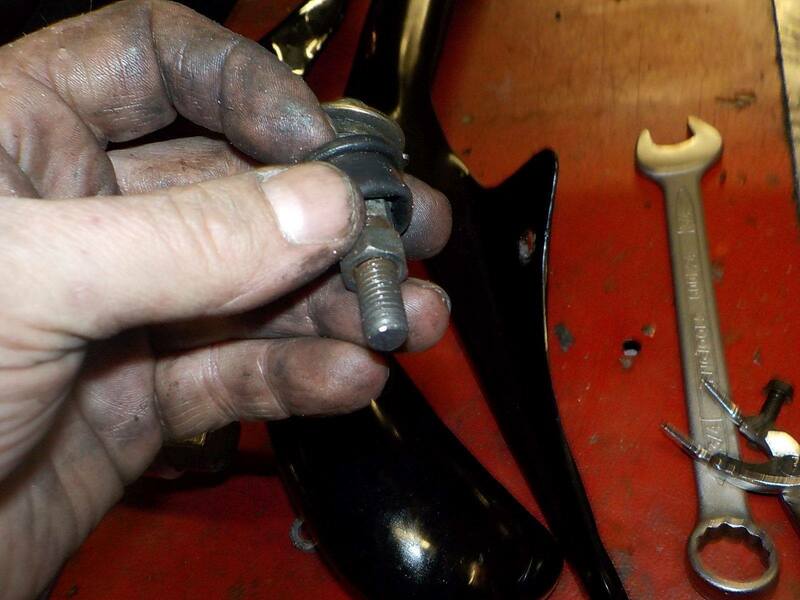 this is a easy fix , just some washers added — bij Twin Motorcycles Buell Support forever. 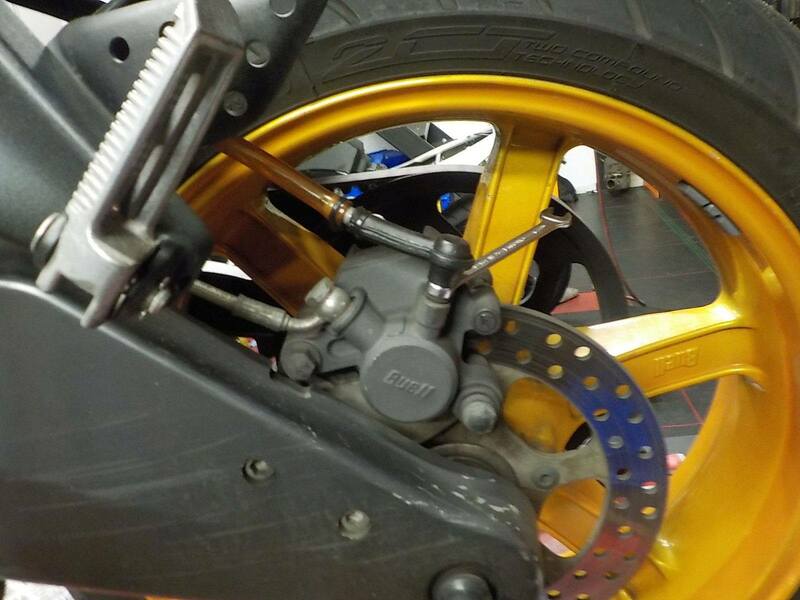 caliper is now center — bij Twin Motorcycles Buell Support forever. 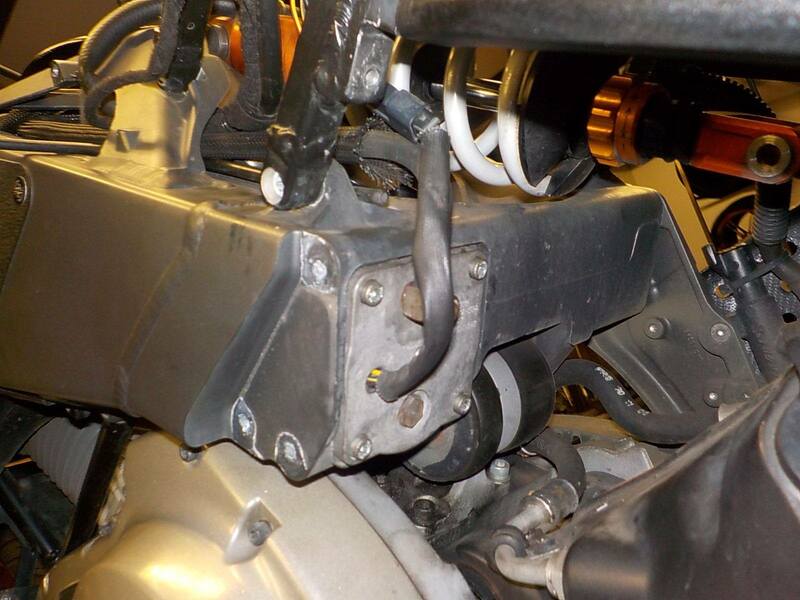 and it turns normal again — bij Twin Motorcycles Buell Support forever. 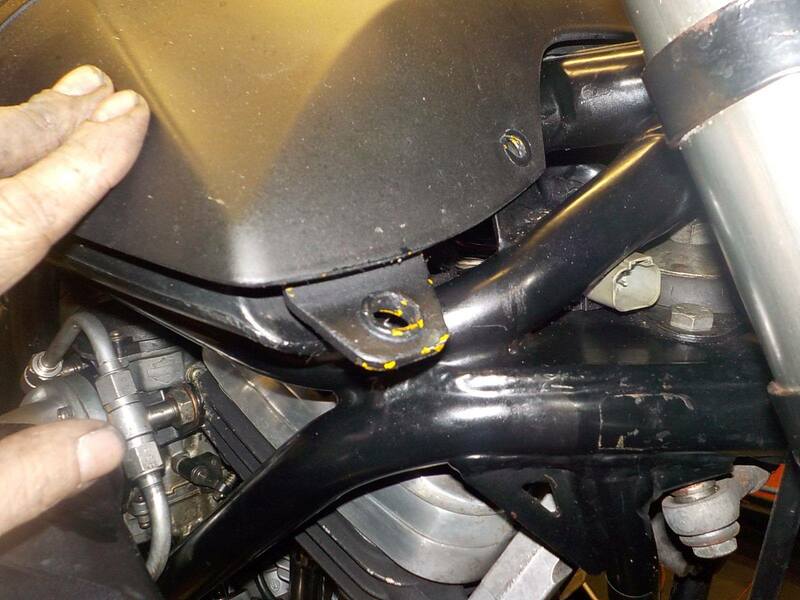 oil out — bij Twin Motorcycles Buell Support forever. 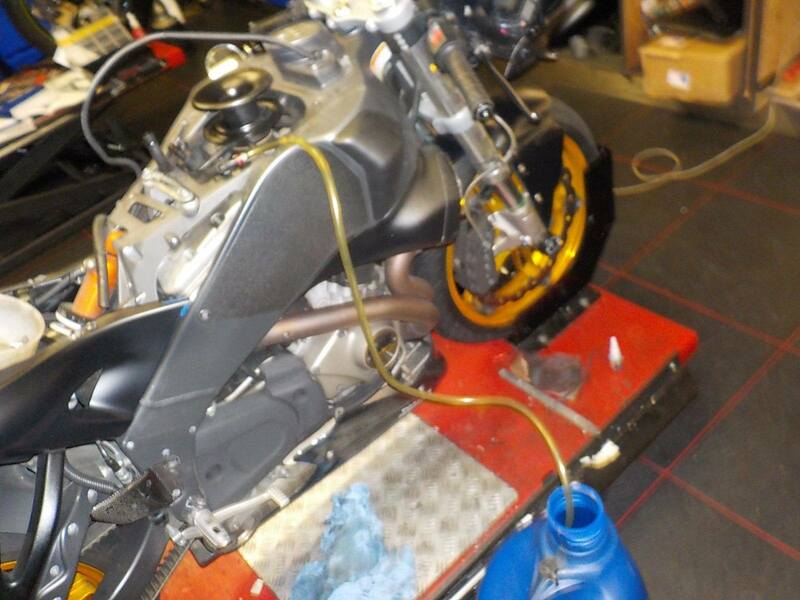 and checking the ex.beemer stuff the customer asked to mount — bij Twin Motorcycles Buell Support forever. 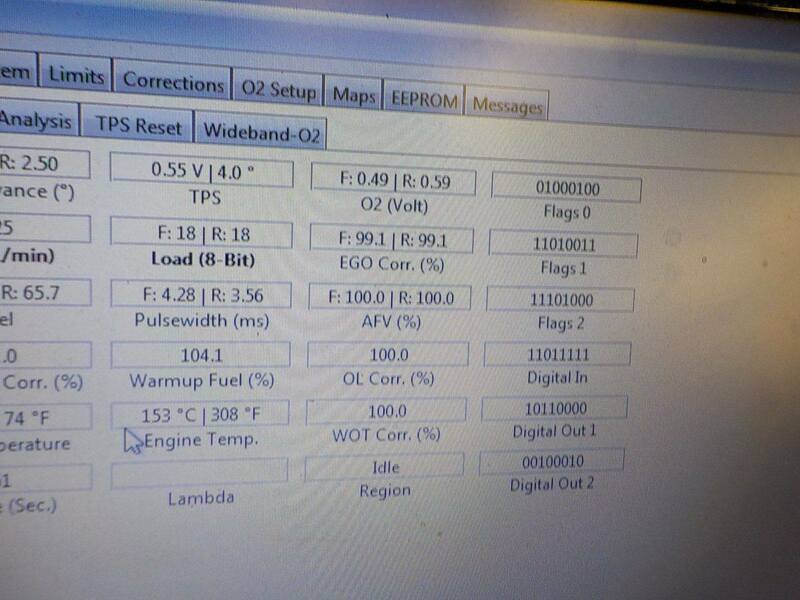 this is easy mod.. will check if we can handle the lenght — bij Twin Motorcycles Buell Support forever. matching left to right.. yes looks better — bij Twin Motorcycles Buell Support forever. 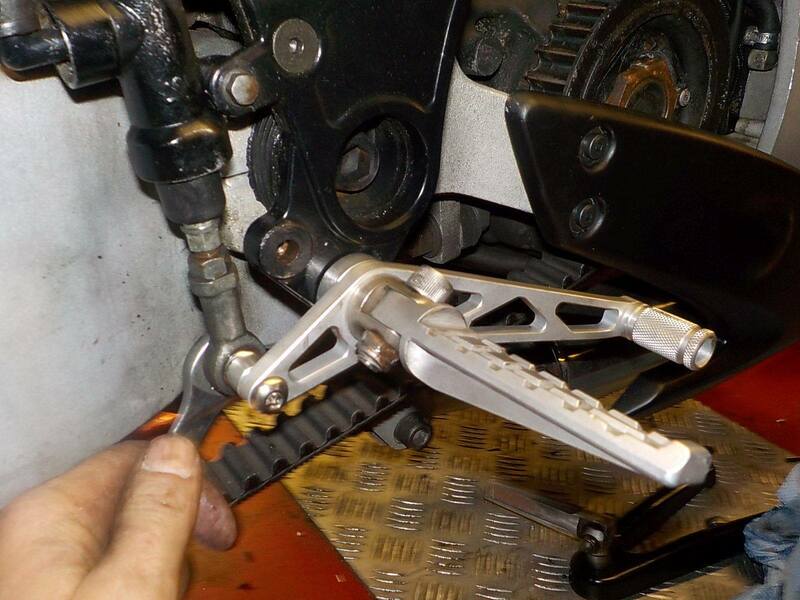 clipons easy :-) — bij Twin Motorcycles Buell Support forever. 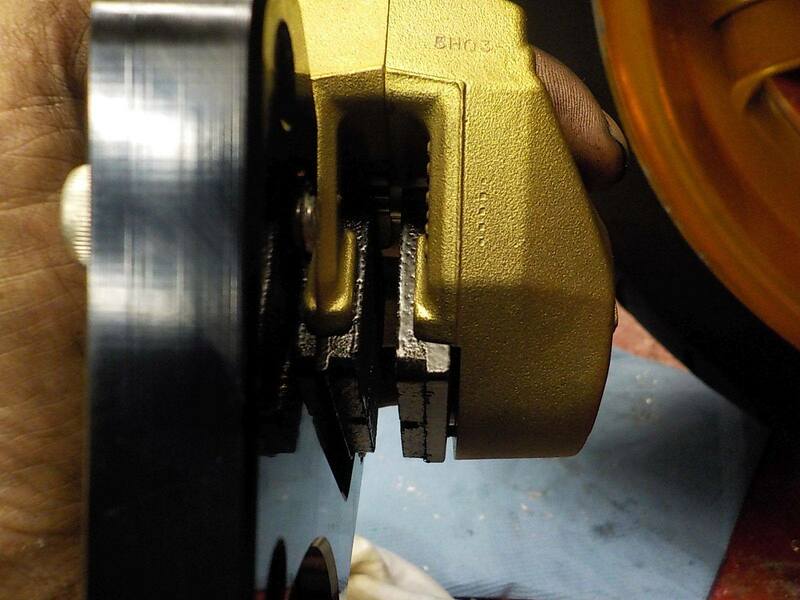 clutch switch douse not seam to work... — bij Twin Motorcycles Buell Support forever. anyway oil in — bij Twin Motorcycles Buell Support forever. 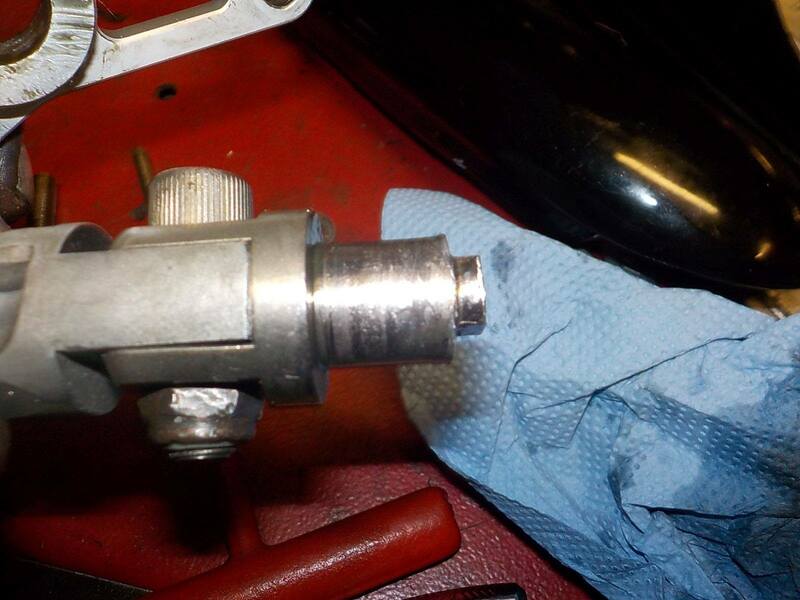 and trying to adjust.. but i cannot get the base adjustment right — bij Twin Motorcycles Buell Support forever. 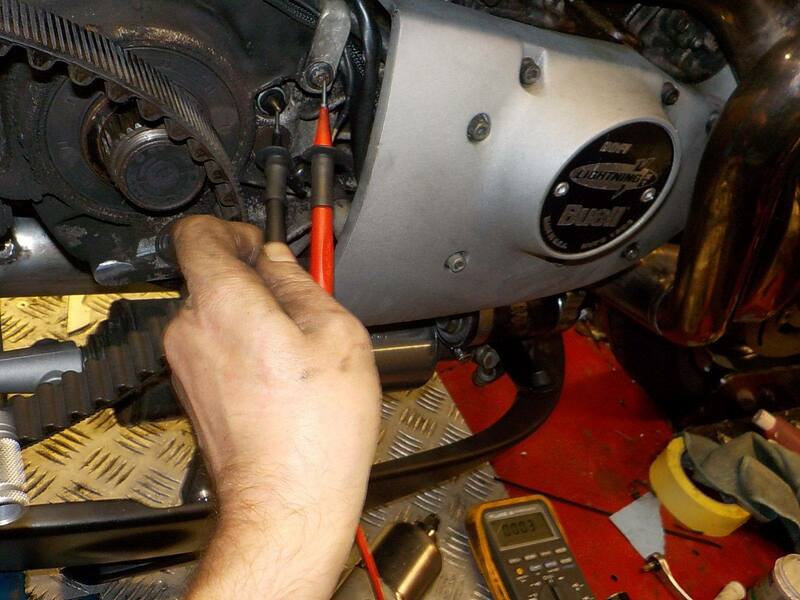 as there is to little free movement in the cable — bij Twin Motorcycles Buell Support forever. 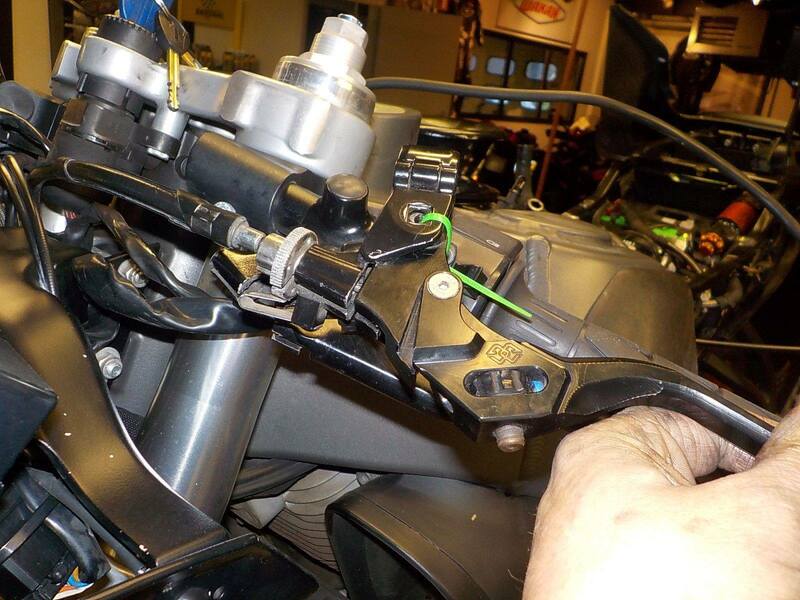 removing the extra adjuster will help — bij Twin Motorcycles Buell Support forever. 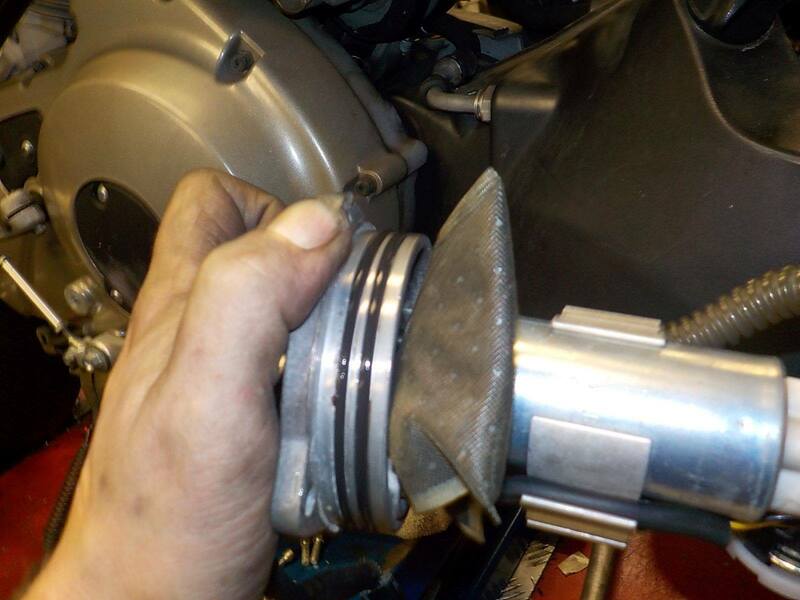 better .. works — bij Twin Motorcycles Buell Support forever.